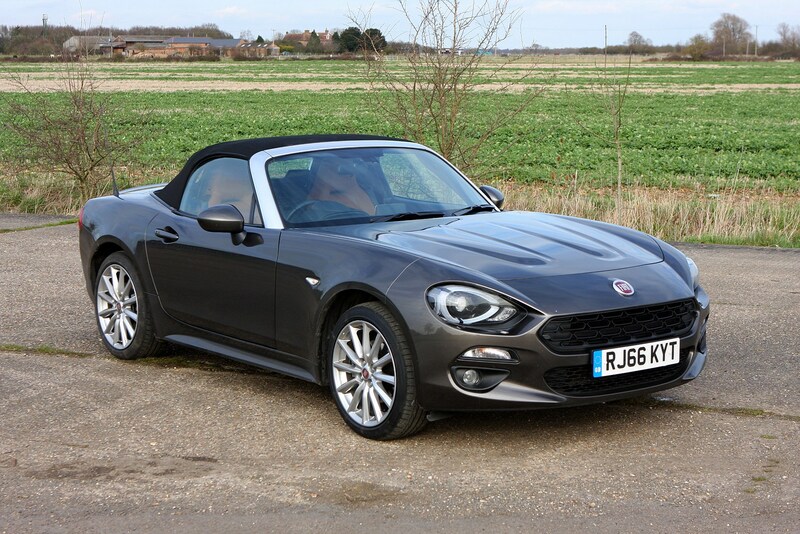 Buying a Fiat 124 Spider is a relatively simple process, with one engine, three trims and barely any options to choose from. 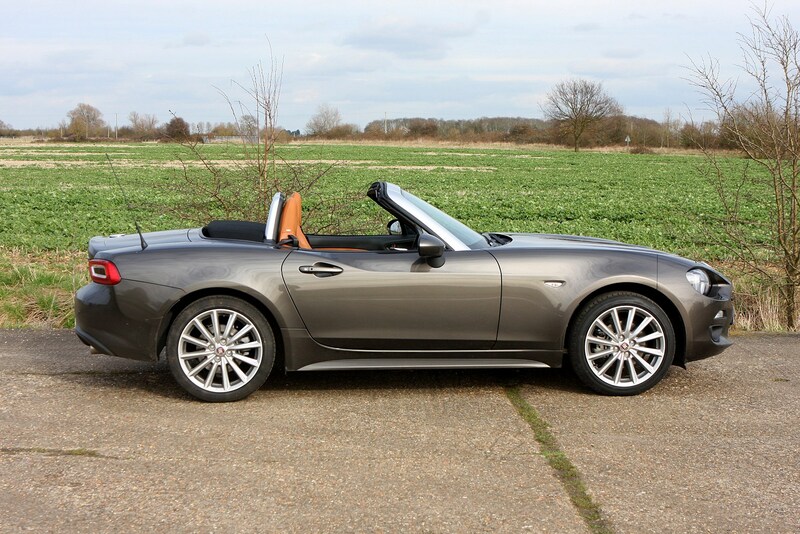 These are desirable cars, though, and if early indications are anything to go by, seem to be selling very well indeed. 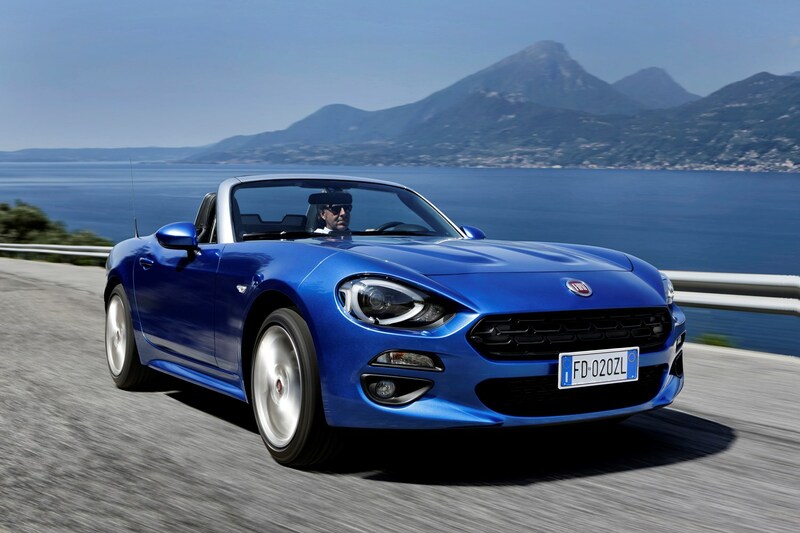 While Fiat is promising short lead times for new cars, don’t expect any big discounts from your dealer. 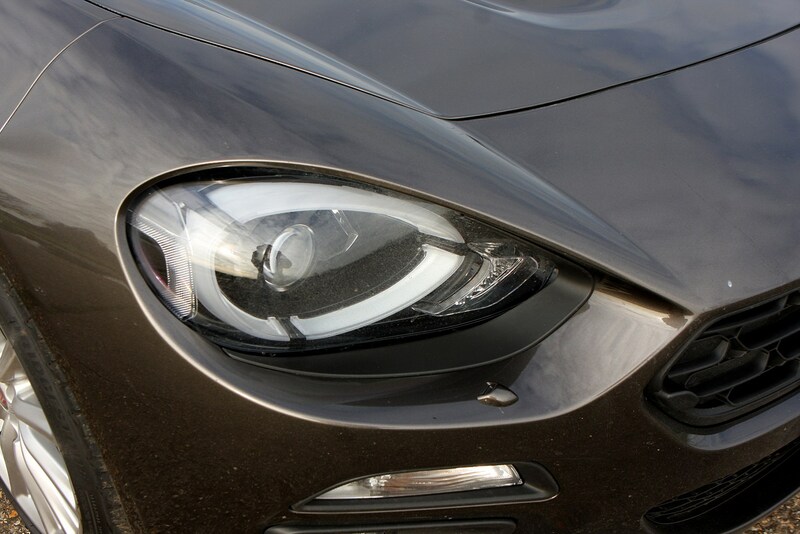 PCP finance costs are also on the high side. 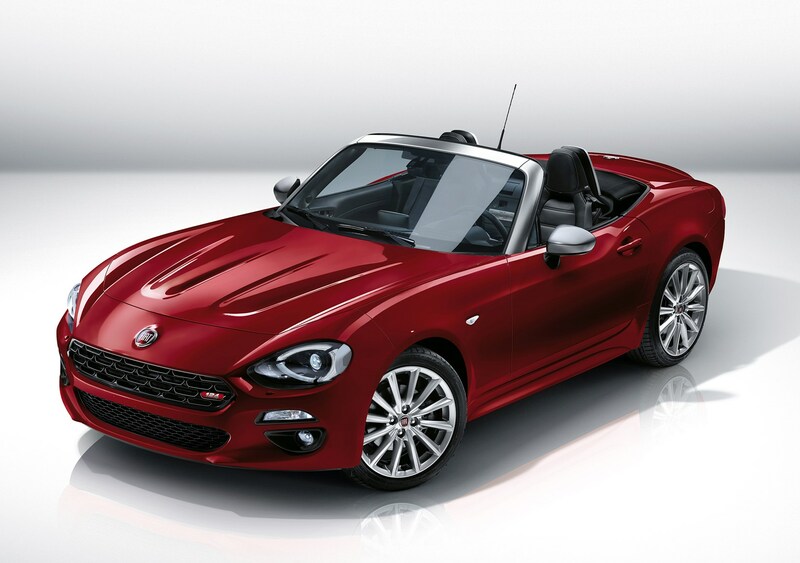 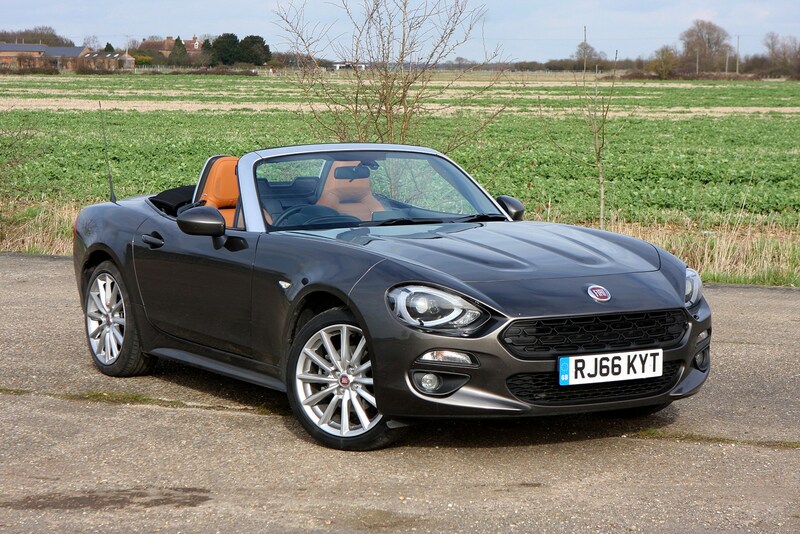 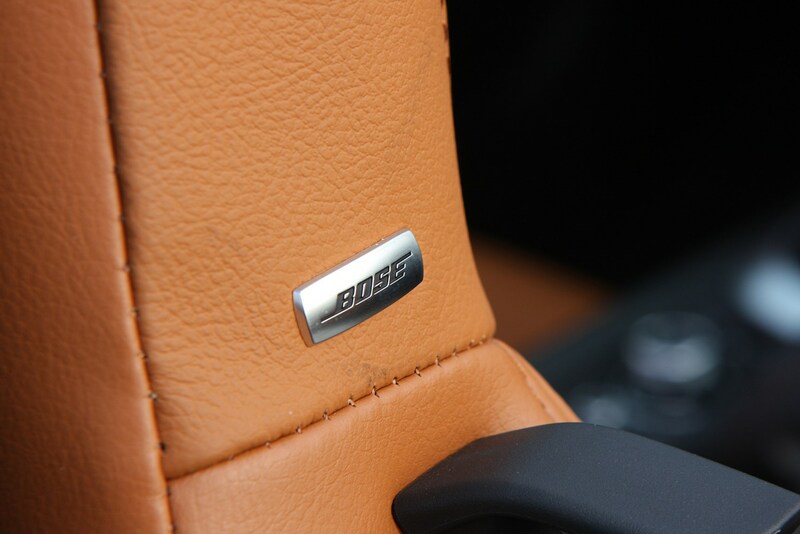 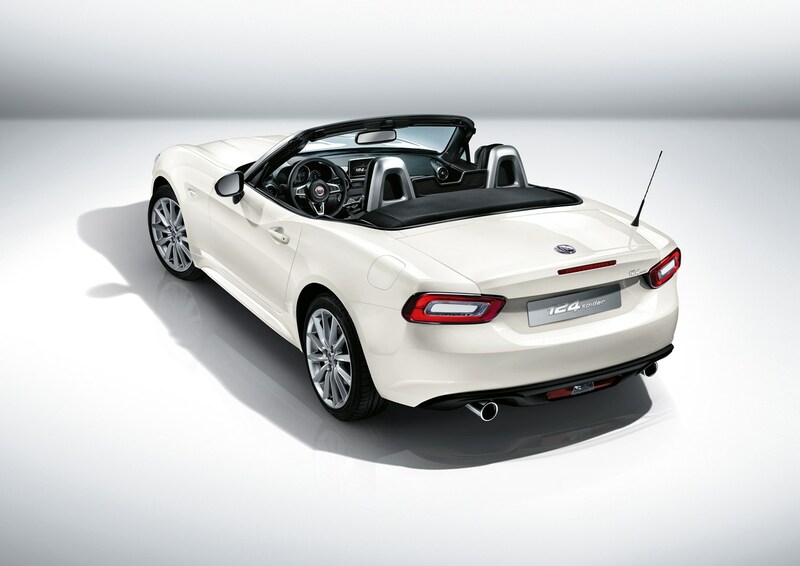 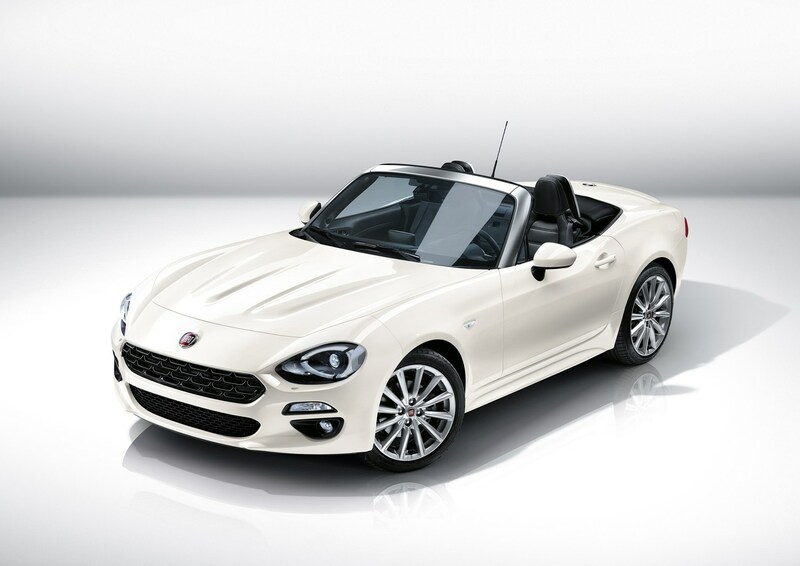 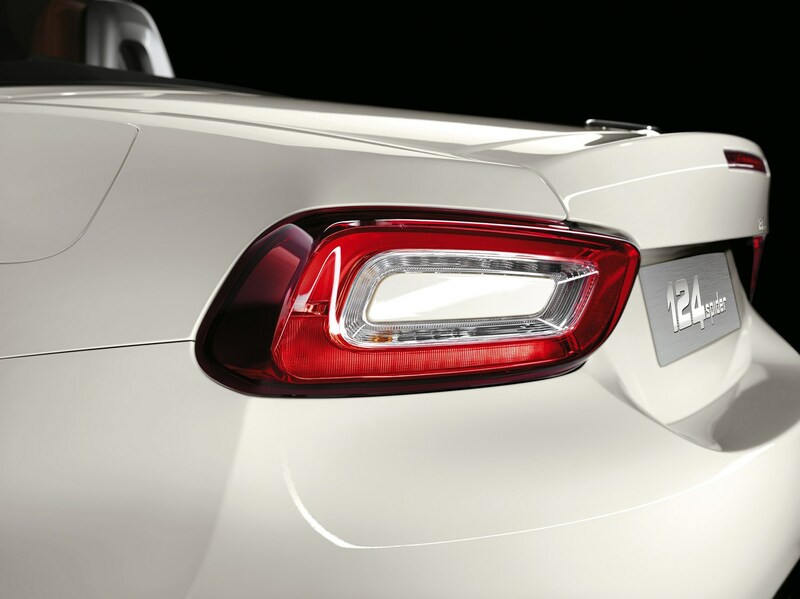 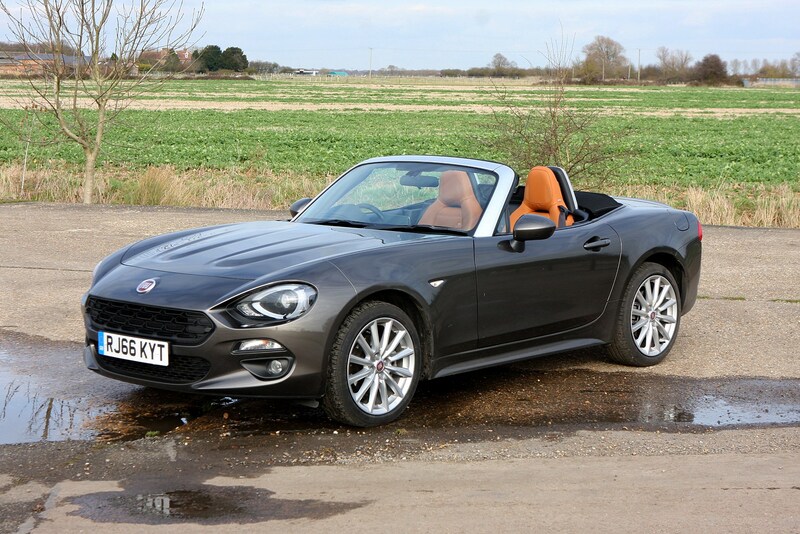 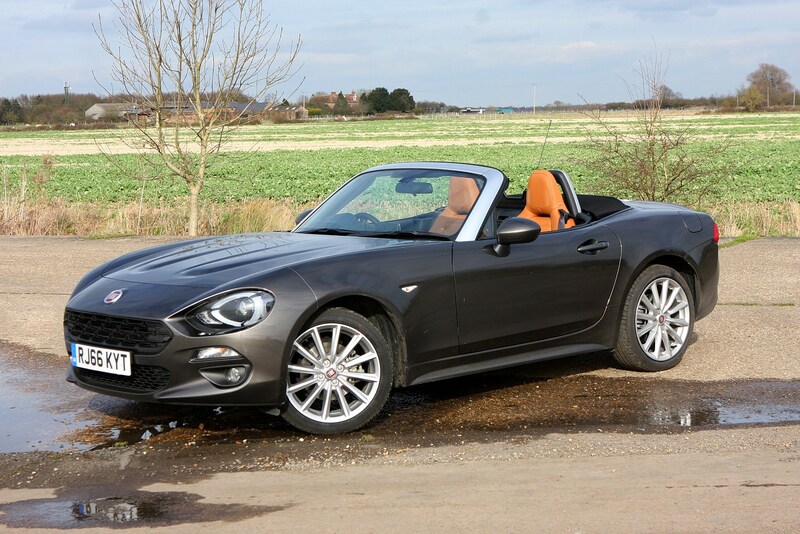 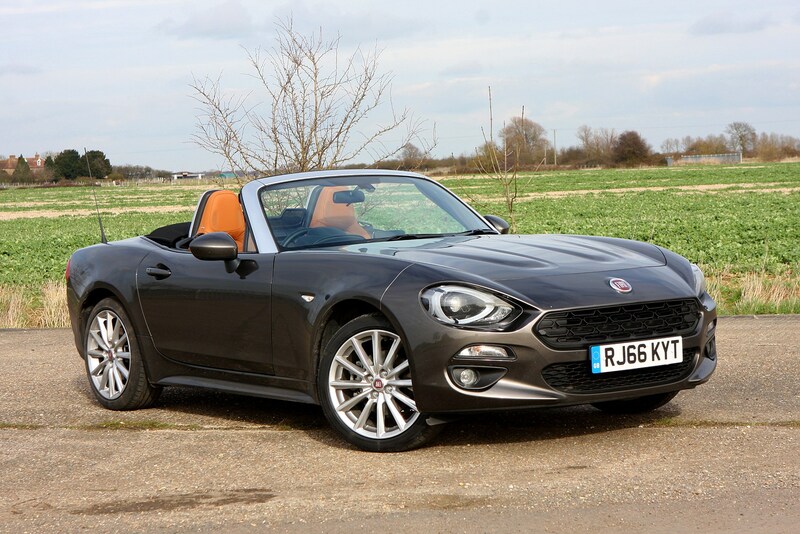 Sitting above Lusso Plus, this special edition 124 Spider stands out from the rest of the Fiat range with a range of styling tweaks made to the exterior. 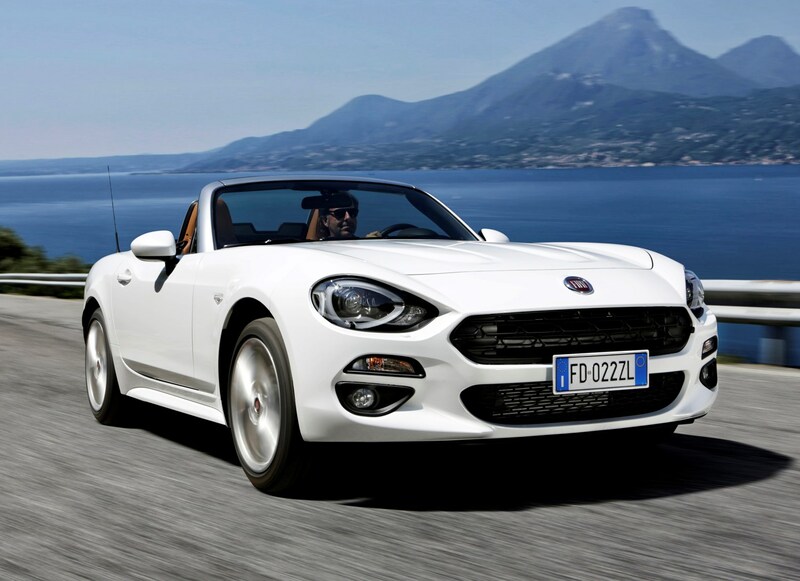 You get Ice White paint, a red stripe down the side and a small Italian flag on the boot. 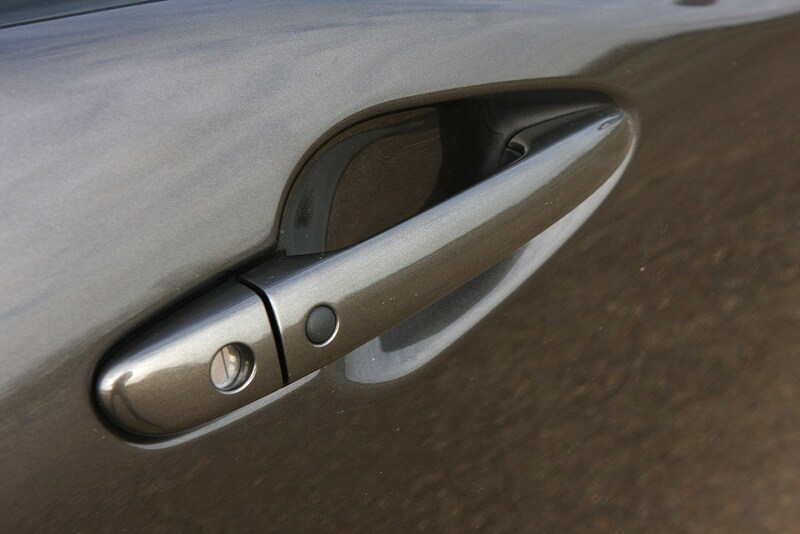 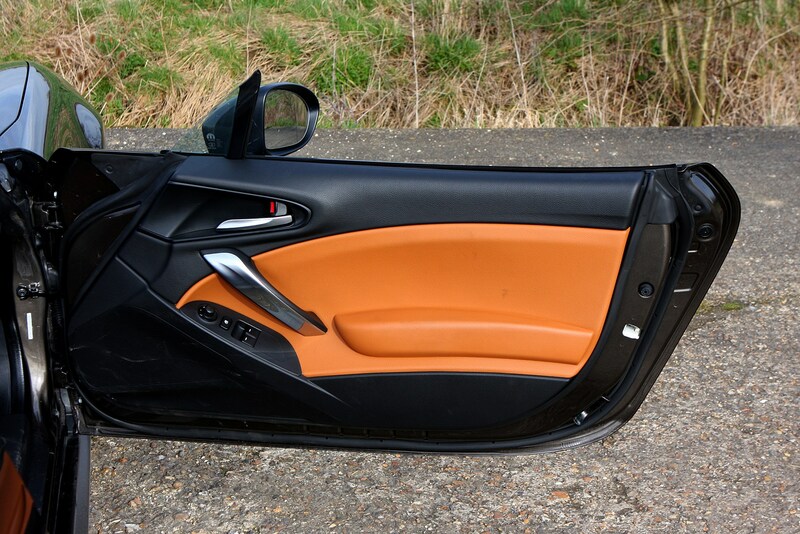 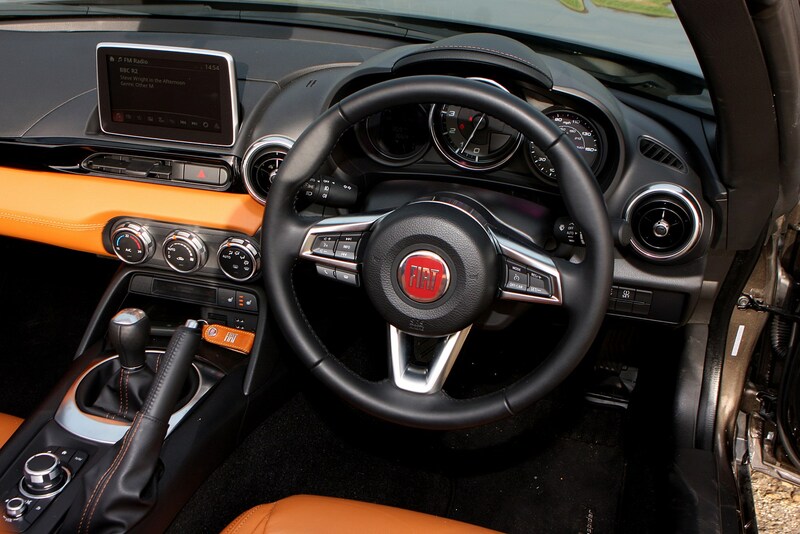 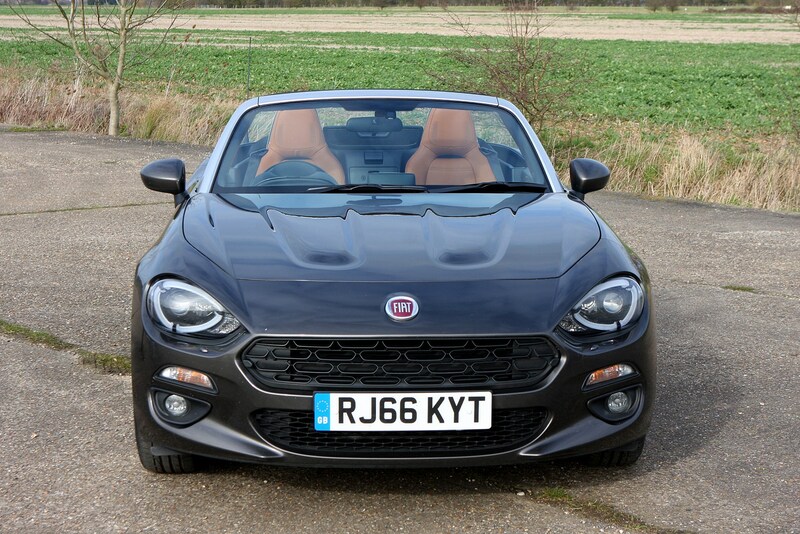 To offset this bright paintwork, there’s gunmetal grey on the front windscreen frame and door mirror caps, along with darker alloy wheels – bearing the same design as those on the more aggressive Abarth 124 Spider. 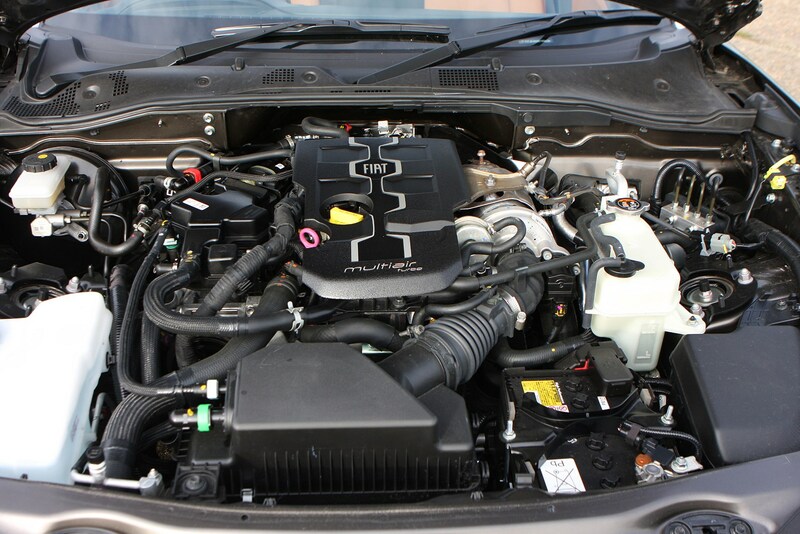 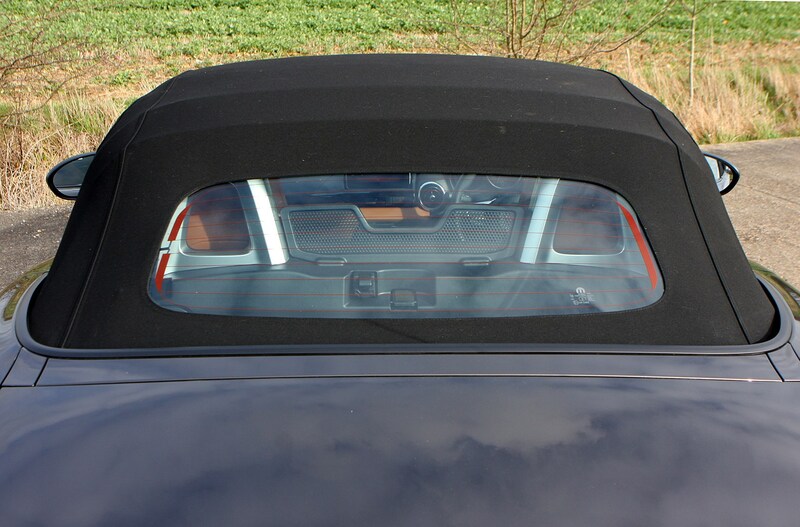 That’s where the differences end, with no changes made to the engine or suspension. 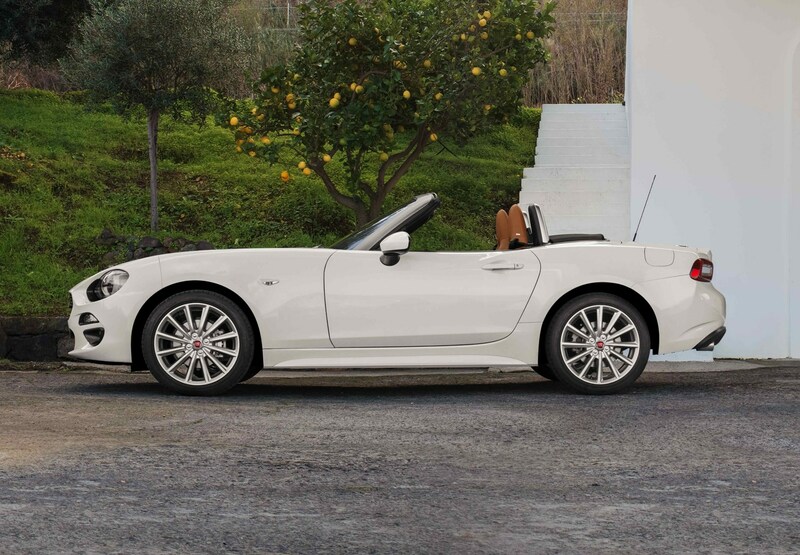 This means the same basic formula of a 140hp engine and a well-judged ride and handling balance, all wrapped into a lightweight package. 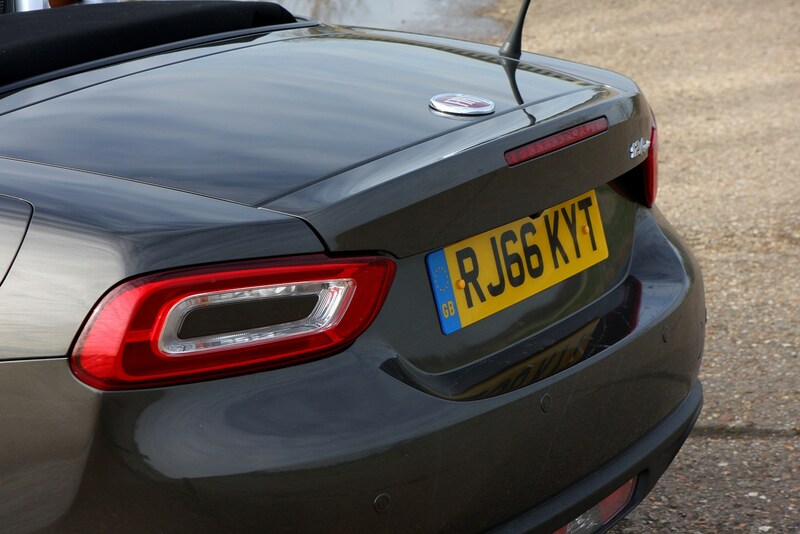 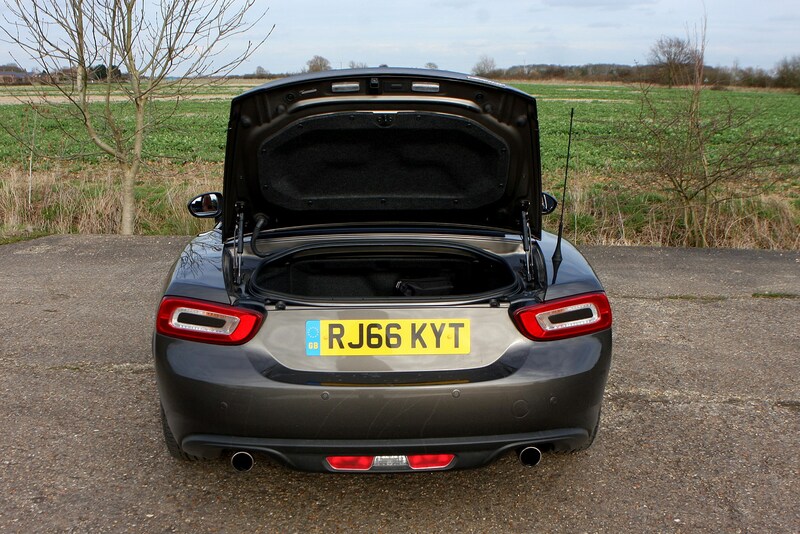 The 1.4-litre turbocharged engine sounds throaty from inside the cabin, but there’s no shouty exhaust here – the twin pipes at the rear are far more discreet than the quad tailpipes found on the Abarth equivalent. 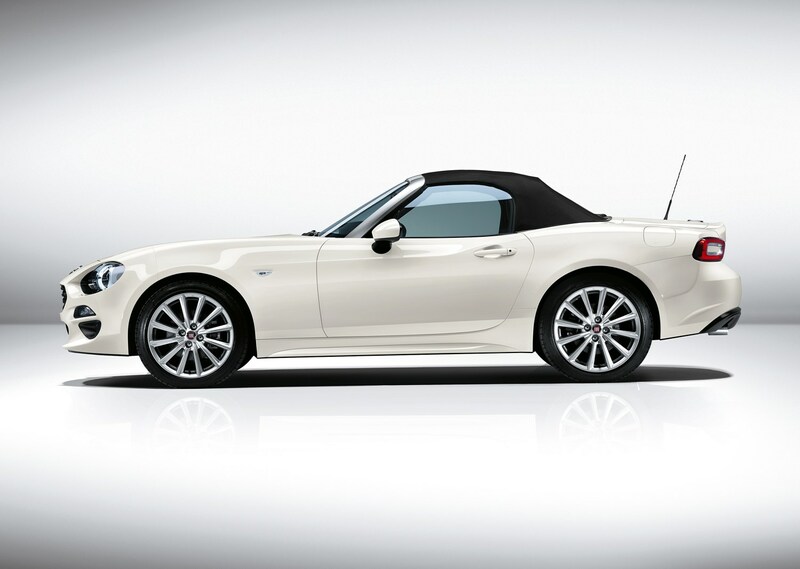 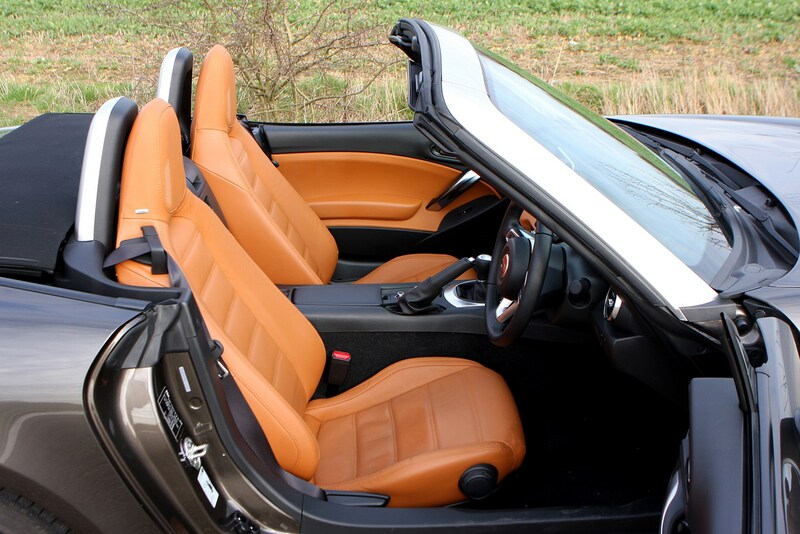 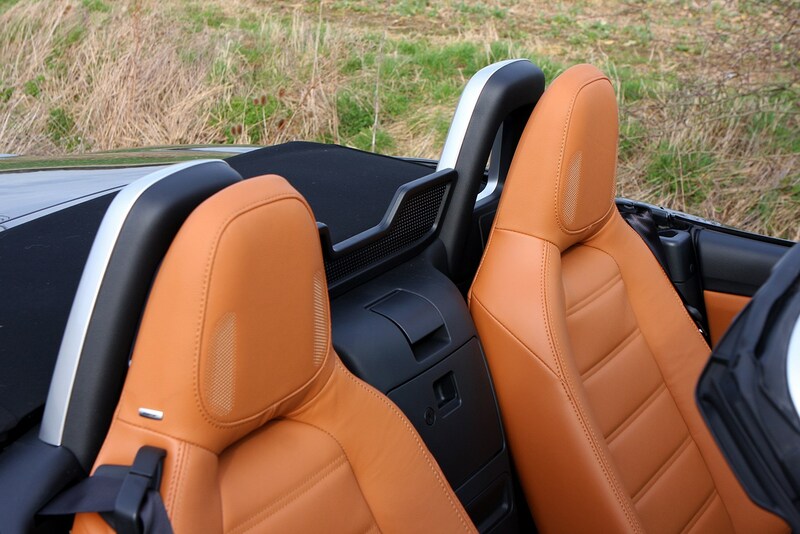 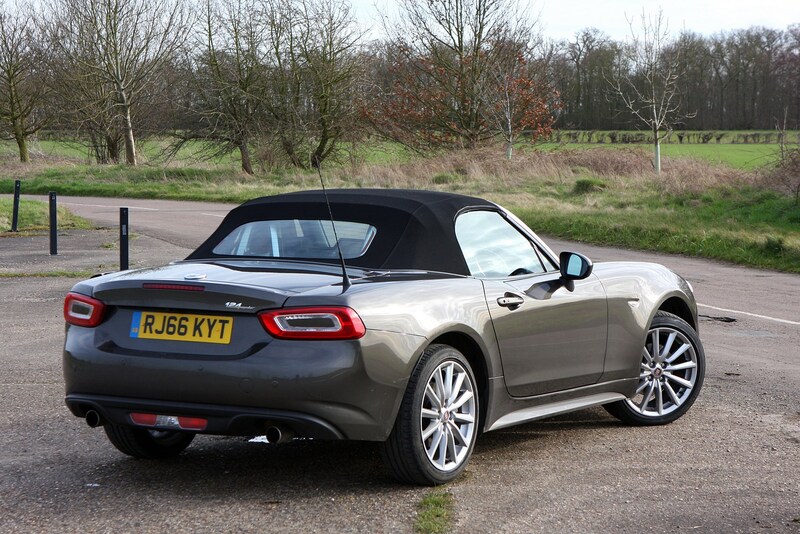 This is easily the most comfortable and laidback iteration of the Mazda MX-5-based roadster. 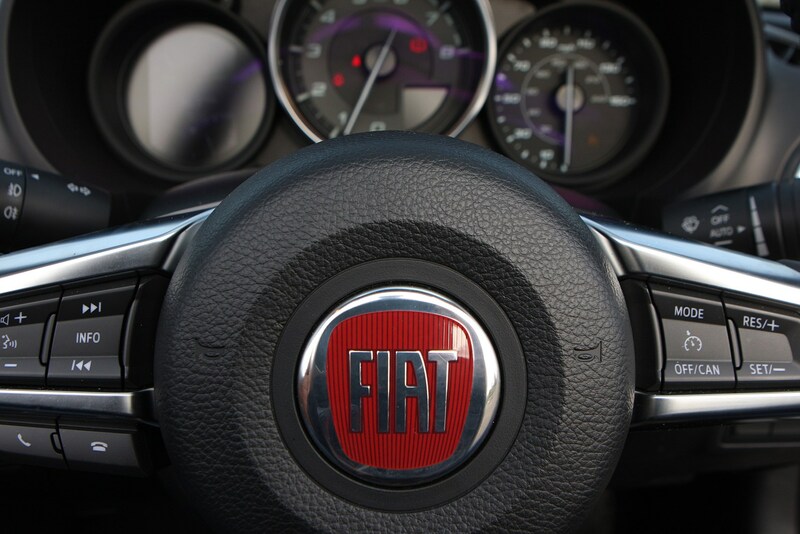 The power delivery is slightly old fashioned, though. 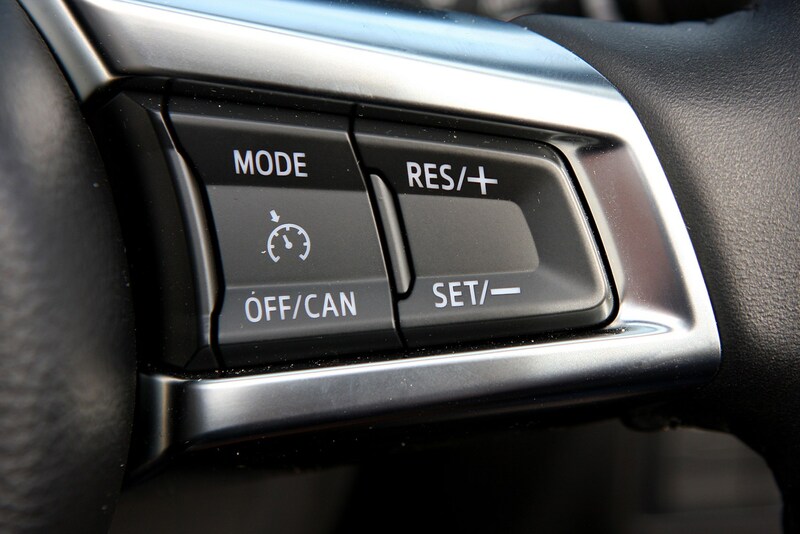 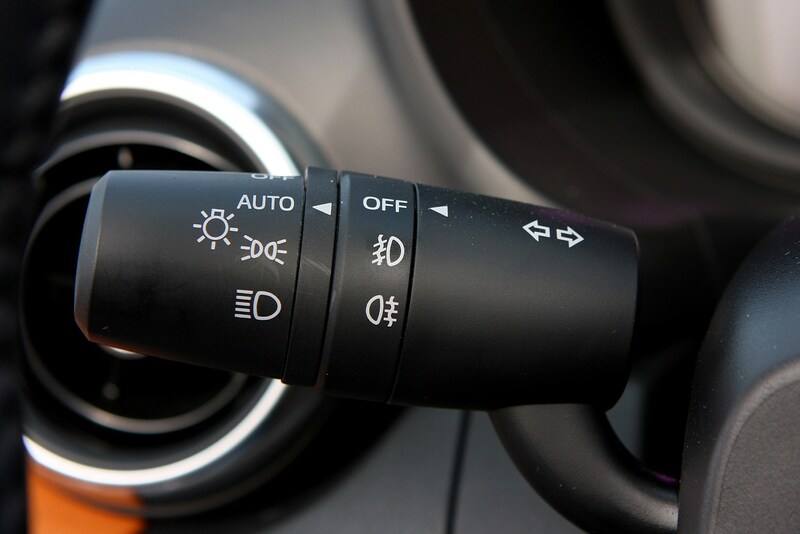 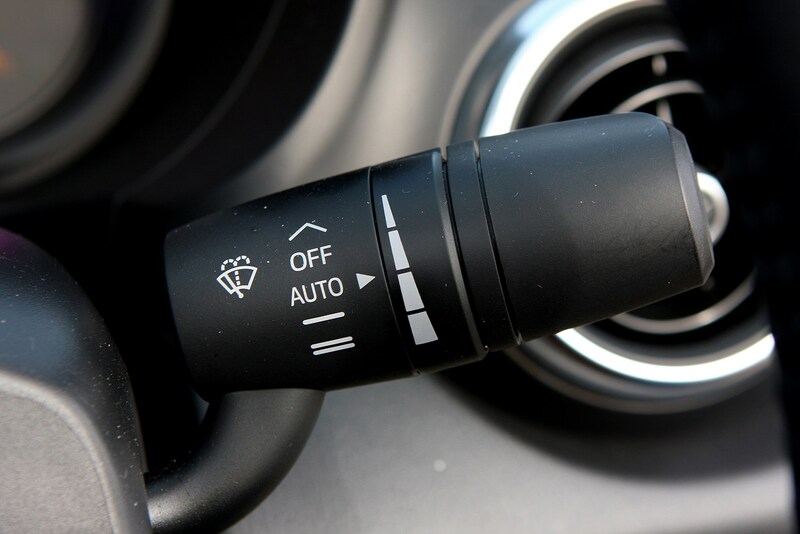 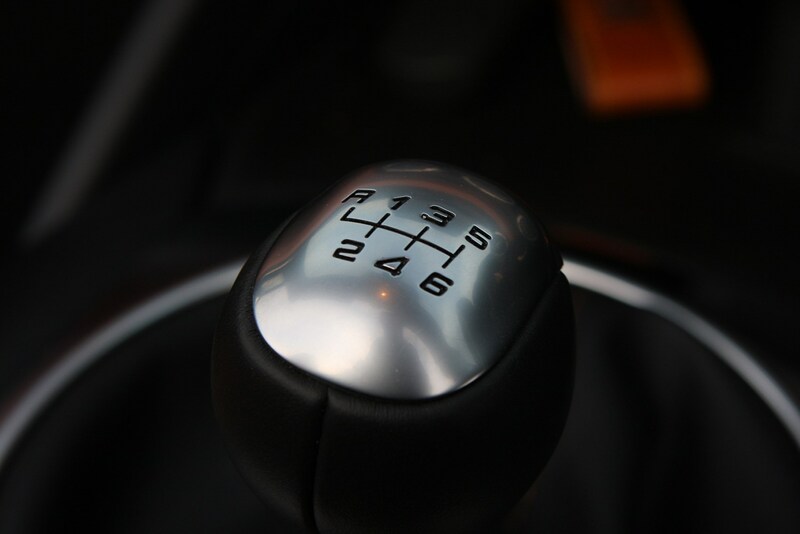 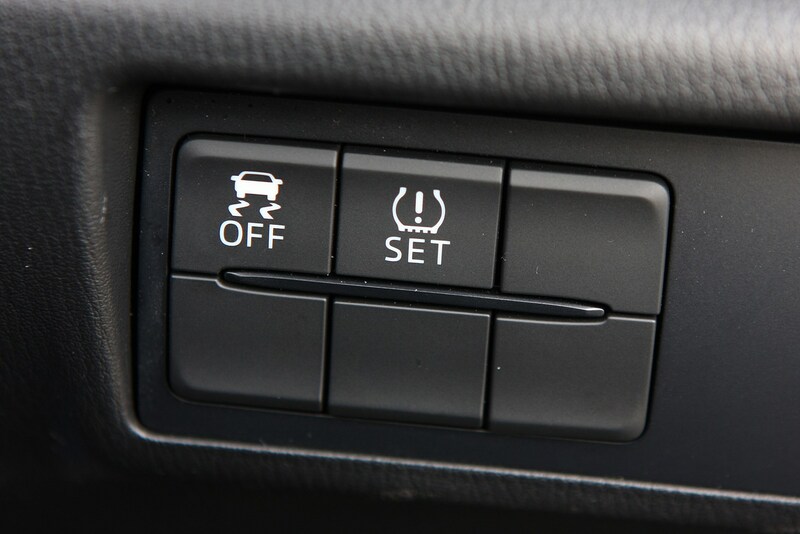 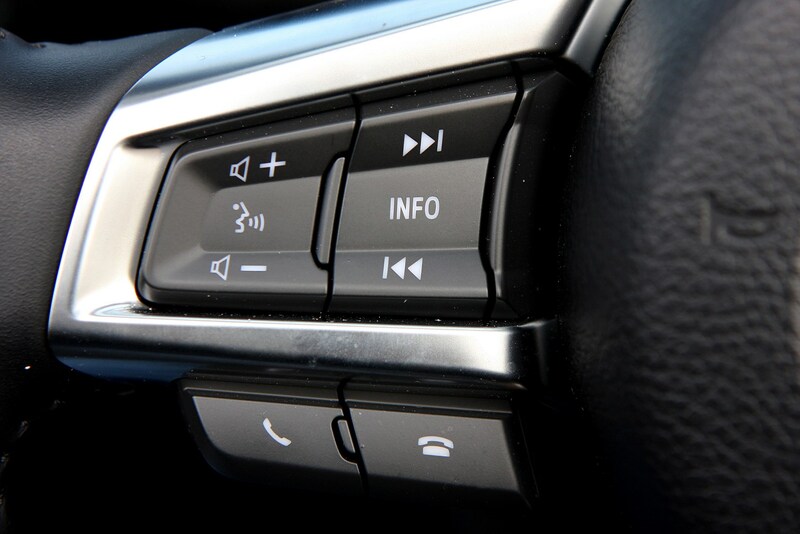 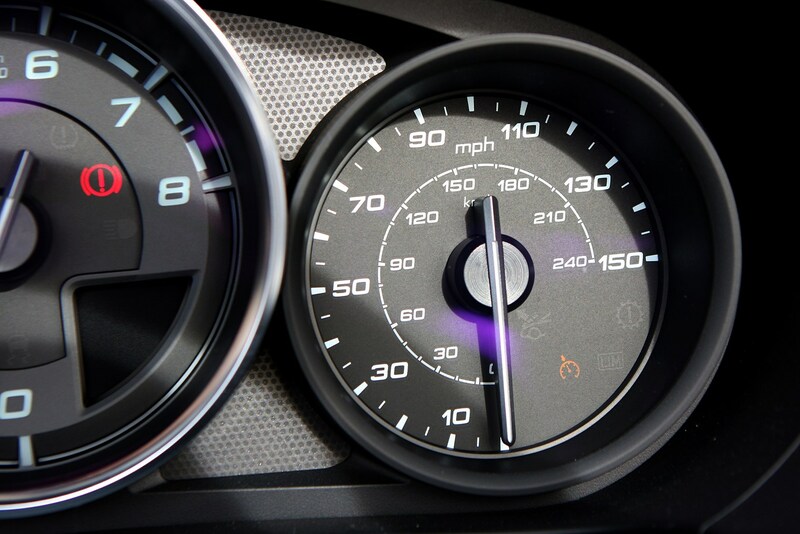 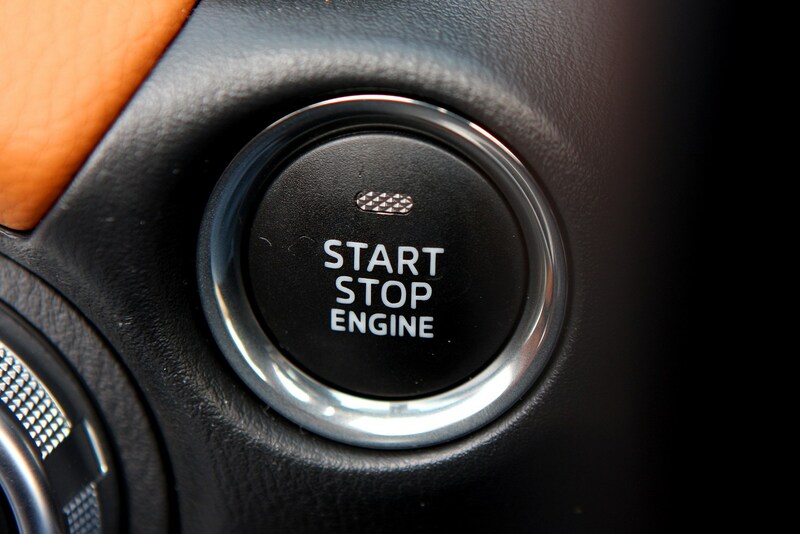 With very little performance below 2,000rpm, attempting to accelerate quickly at junctions or roundabouts can leave you in no-man’s land - which isn’t ideal. 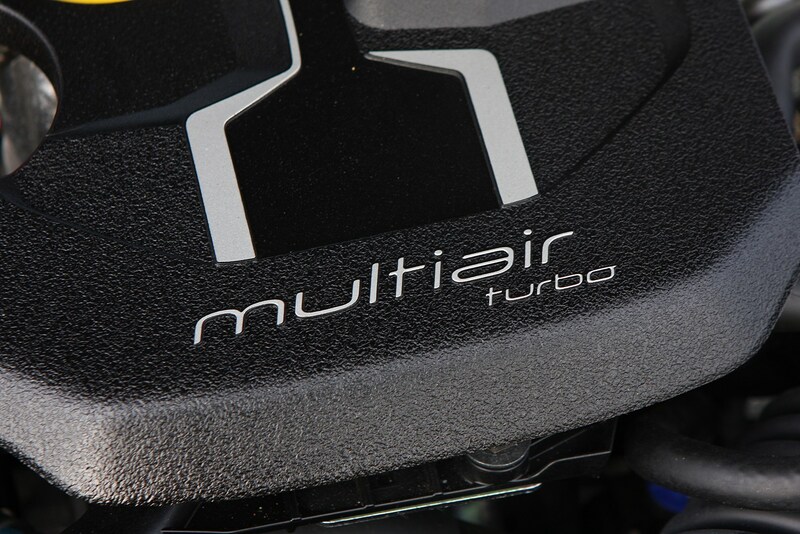 This is one punchy engine that needs waking up. 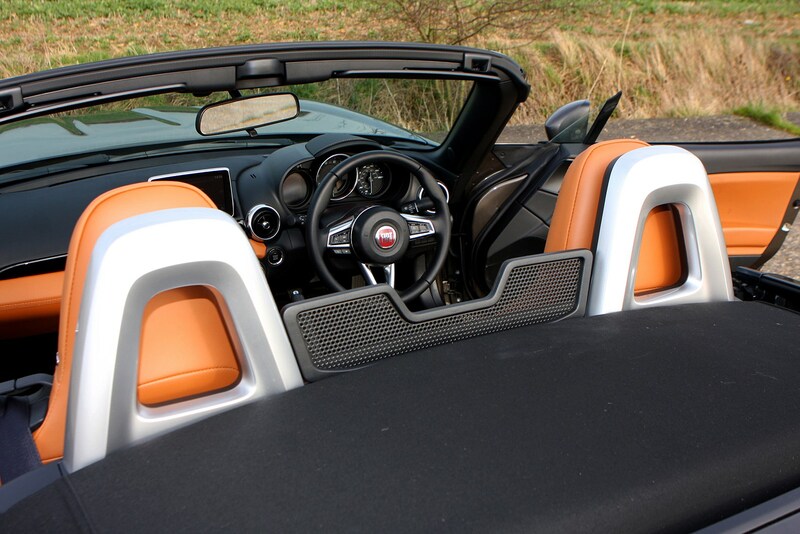 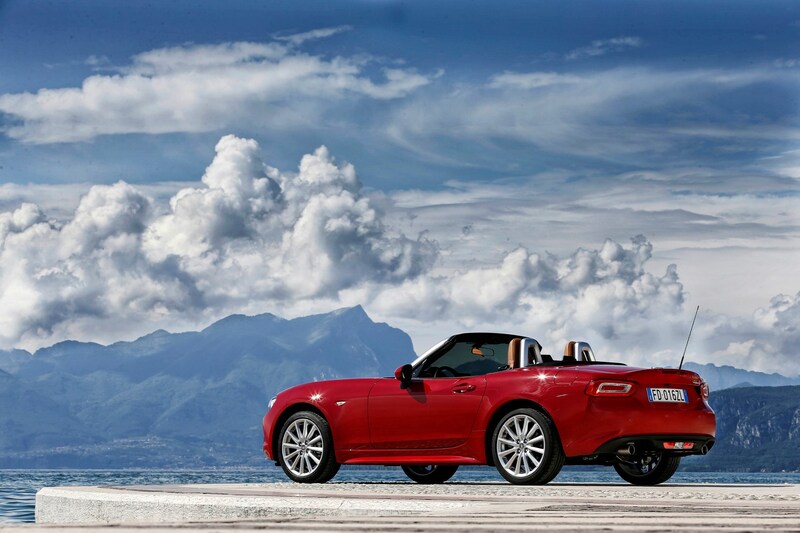 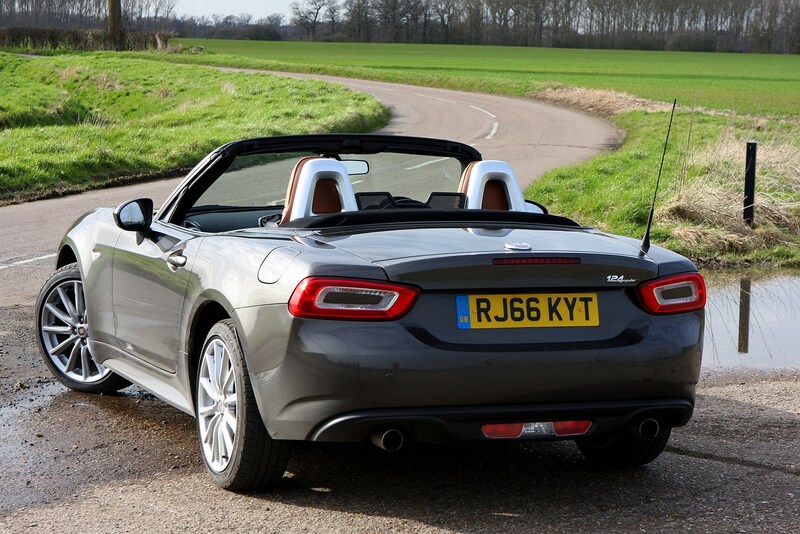 Once above this threshold, this 124 Spider feels much livelier. 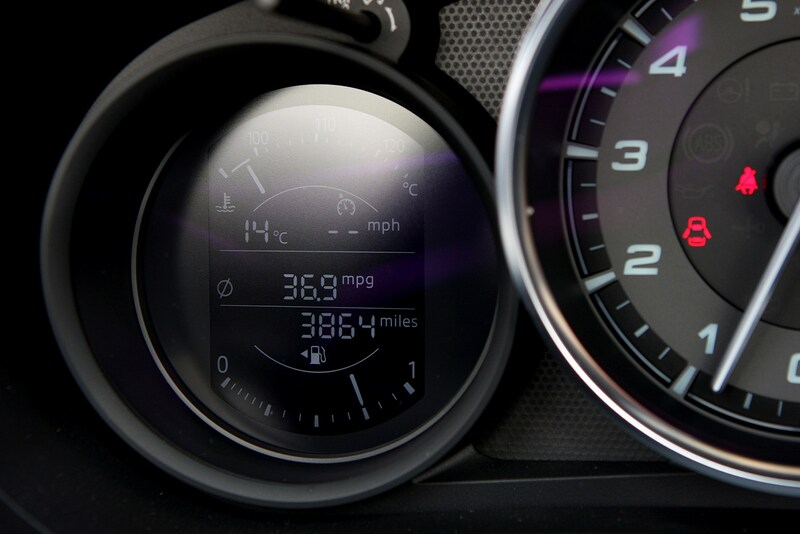 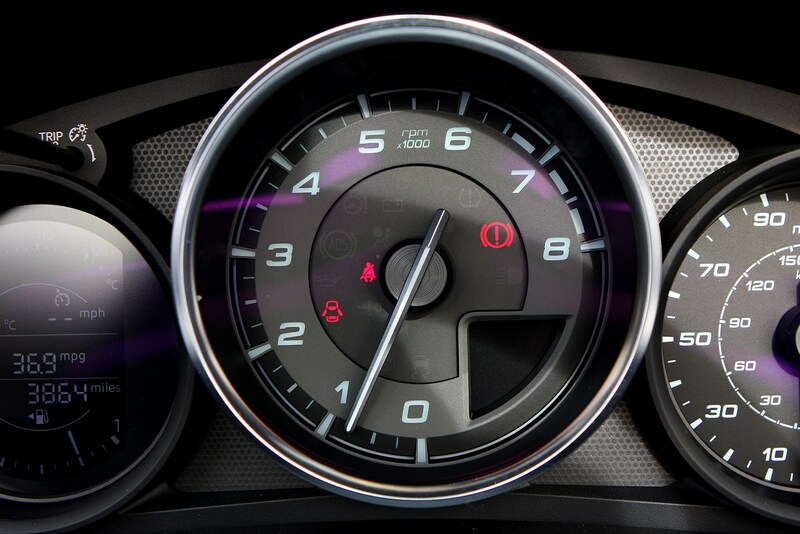 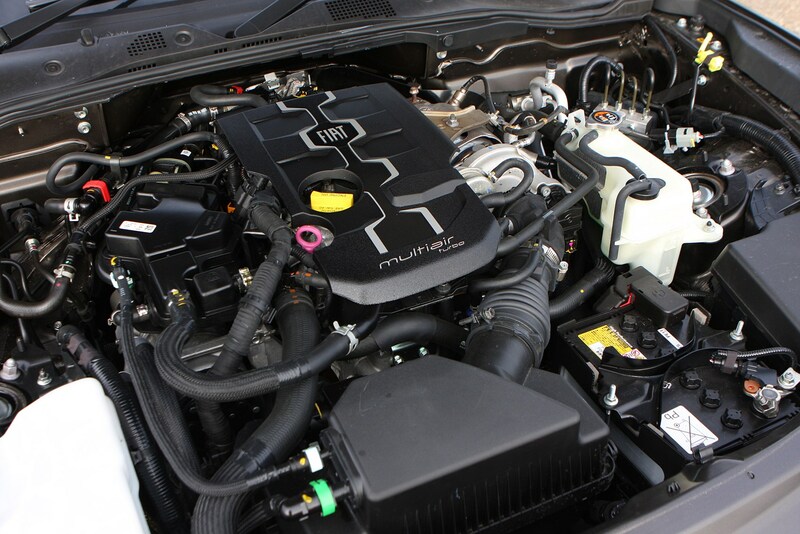 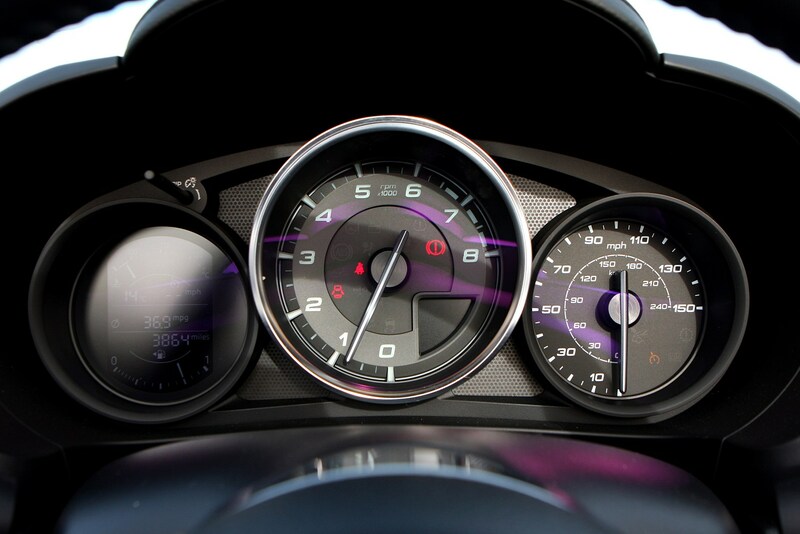 All the power has tailed off by 6,000rpm but it’s happy to rev to its 6,500rpm redline limit. 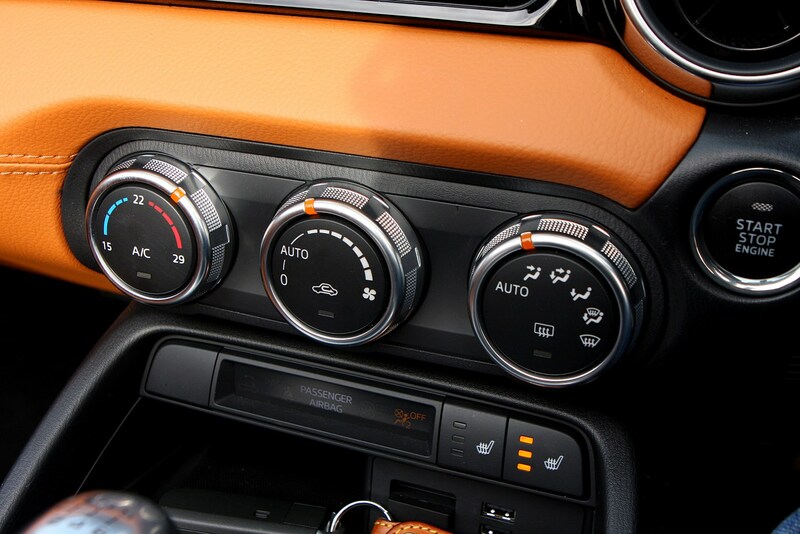 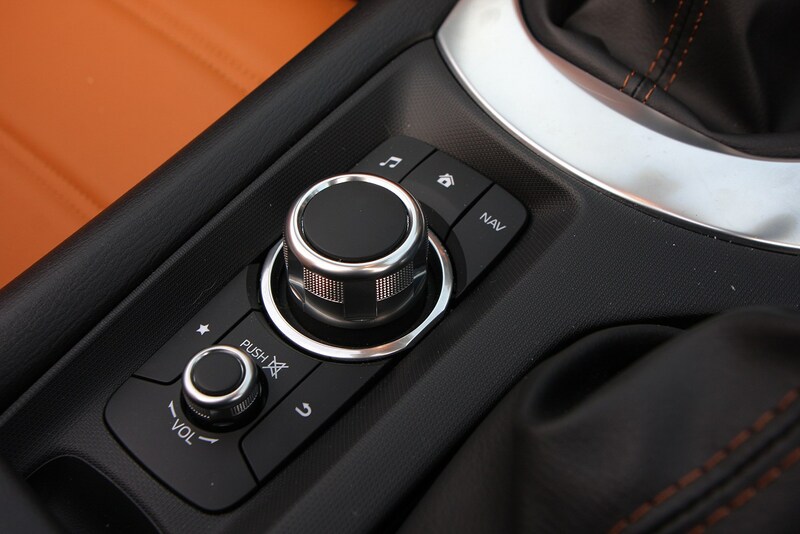 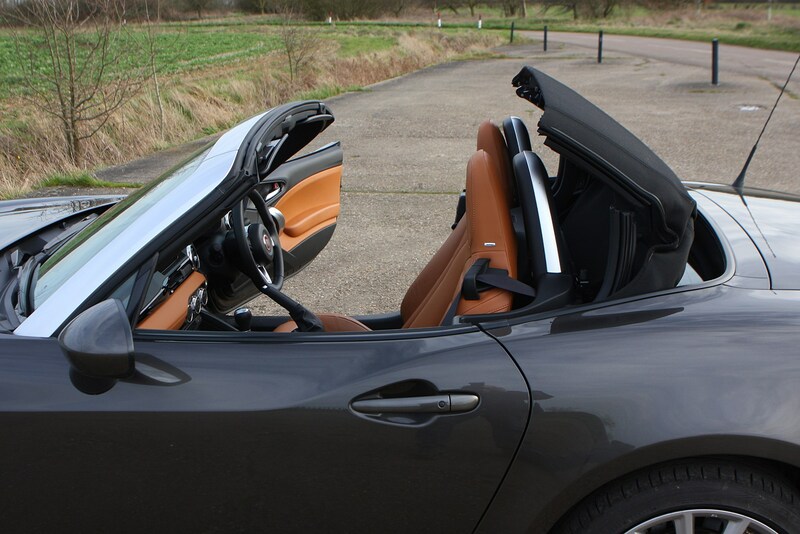 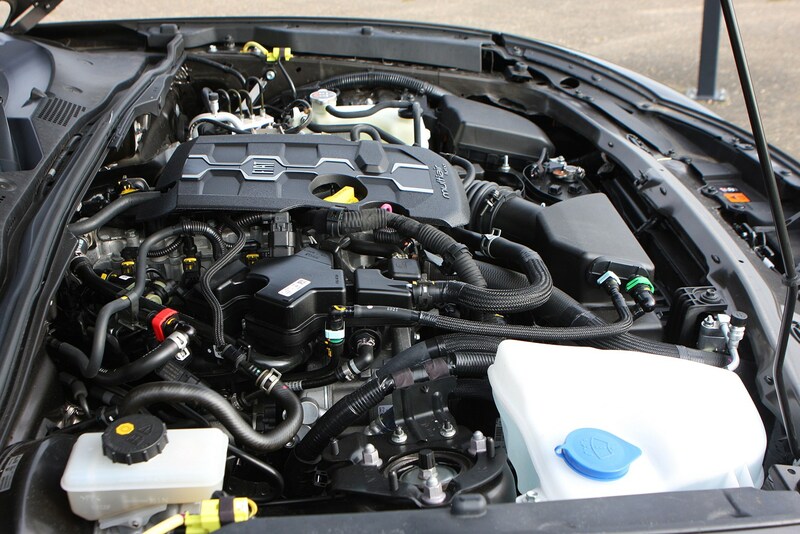 This might sound less exciting over the equivalent 1.5-litre naturally-aspirated engine in the MX-5, but it leaves you with a choice: either wring out the engine as much as possible, or use the mid-range torque in a more relaxing way, depending on your mood. 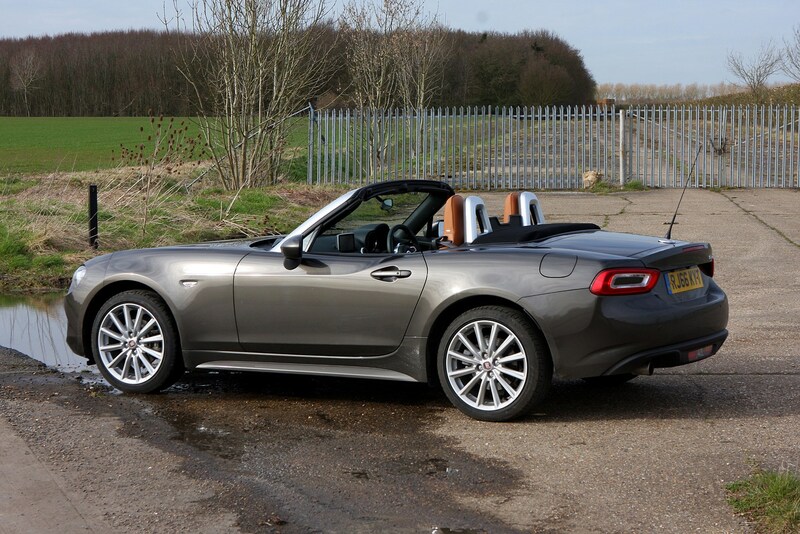 While the raised suspension over the MX-5 doesn’t translate into a cosseting ride, the body control is better than expected. 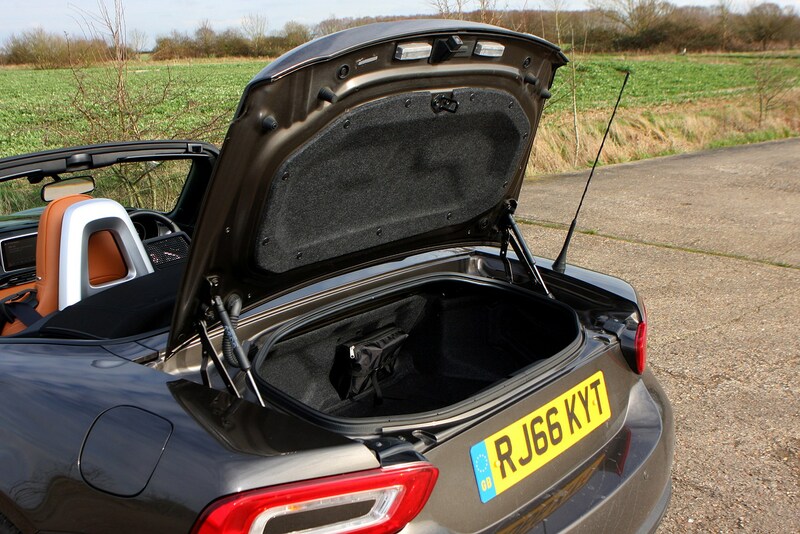 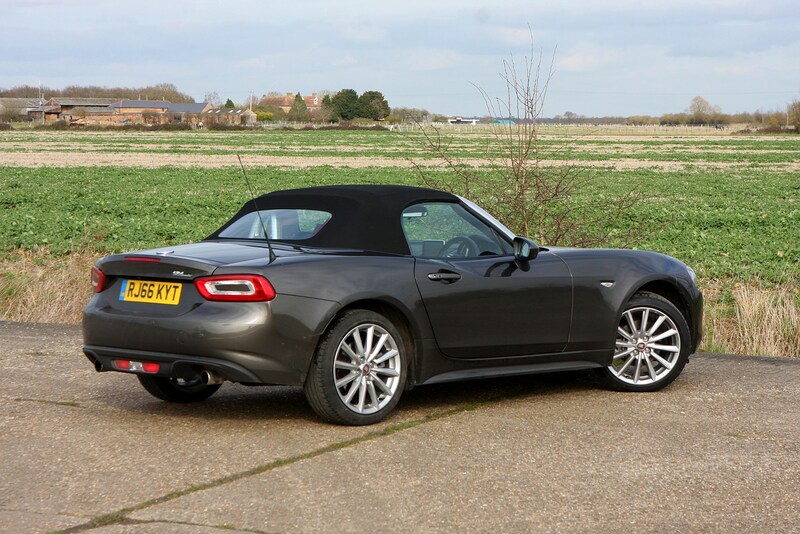 It’s slightly more impressive than the softer-sprung versions of the MX-5 too, as it avoids pitching from side to side in the same energetic fashion. 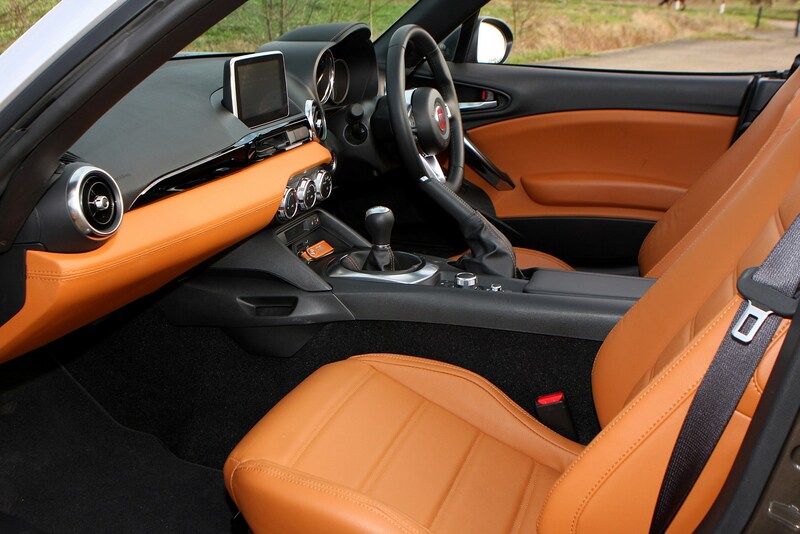 Is it any nicer inside the cabin? 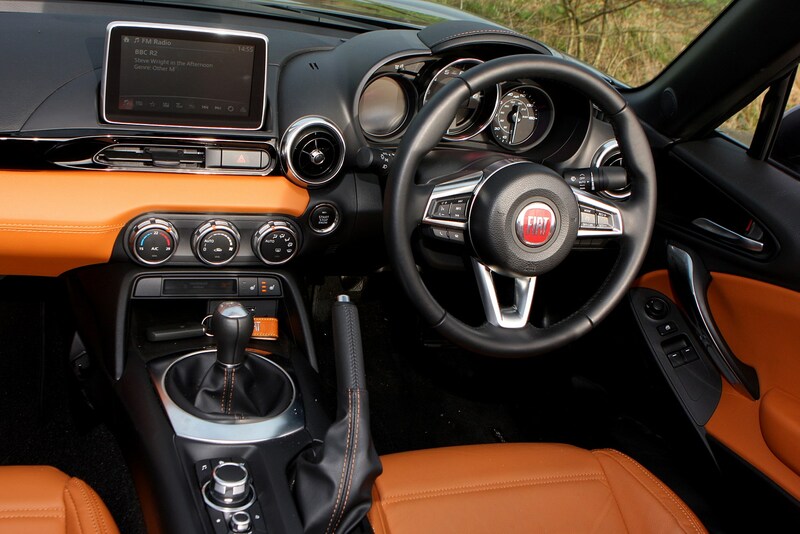 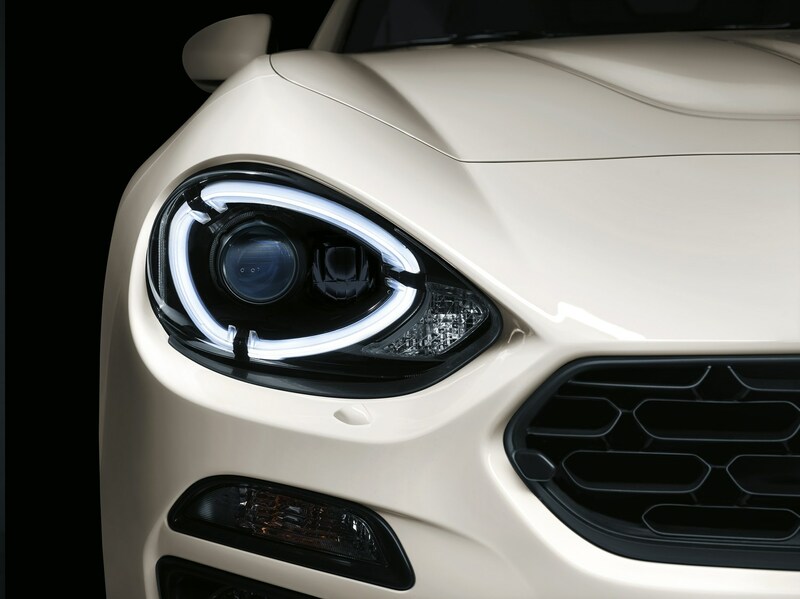 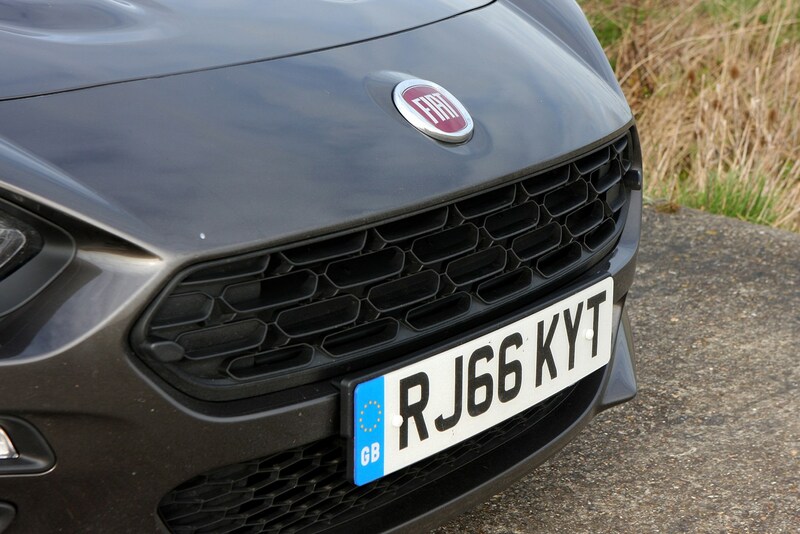 You won’t find the body-coloured door cards brightening up the cabin as you would in the Mazda, or the grippy Alcantara-covered surfaces in the Abarth – so if you’ve been in either of these two, you’d potentially spot this Fiat as being the cheaper-looking cabin out of the trio. 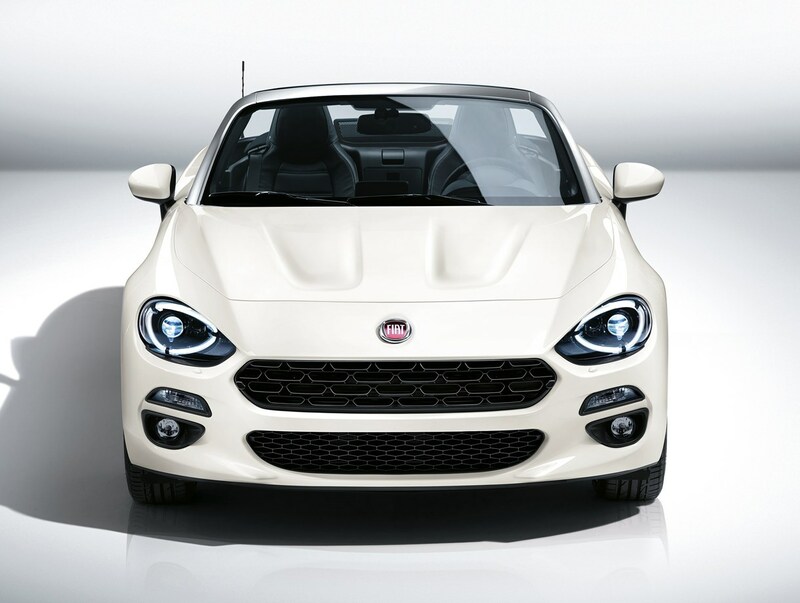 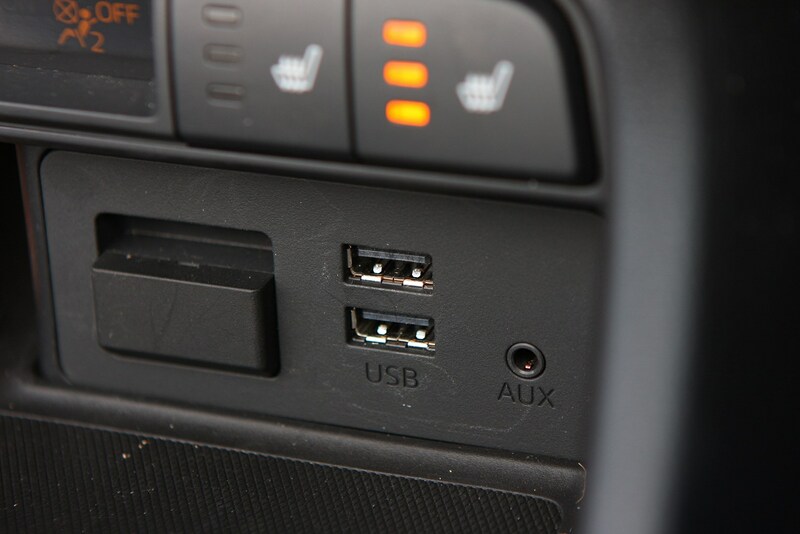 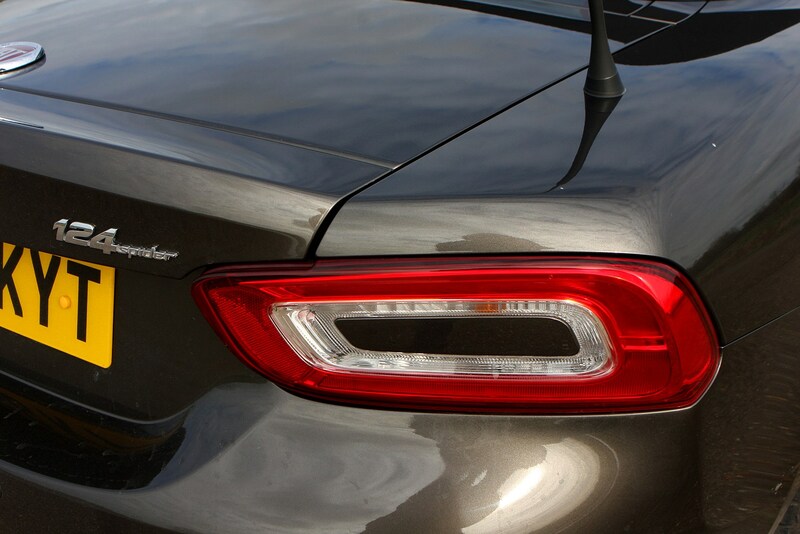 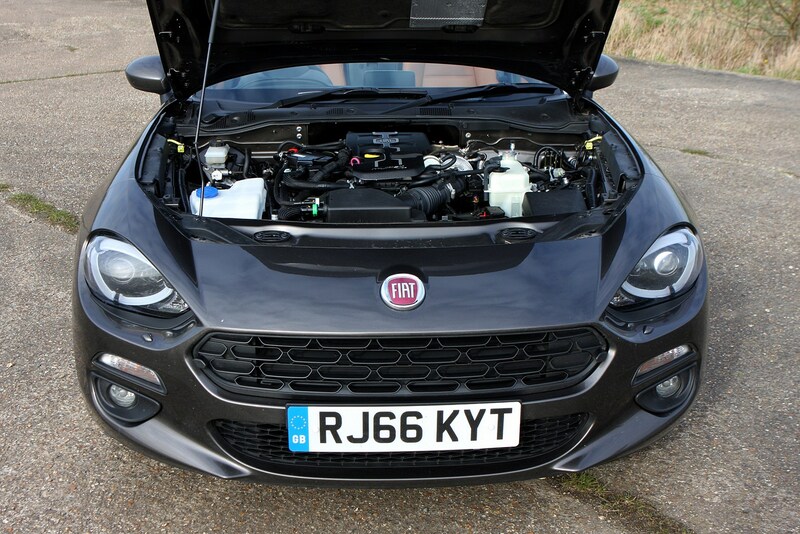 If you haven’t experienced either, this won’t be a deal-breaker for the Fiat by any stretch; it just feels a little less special in comparison. 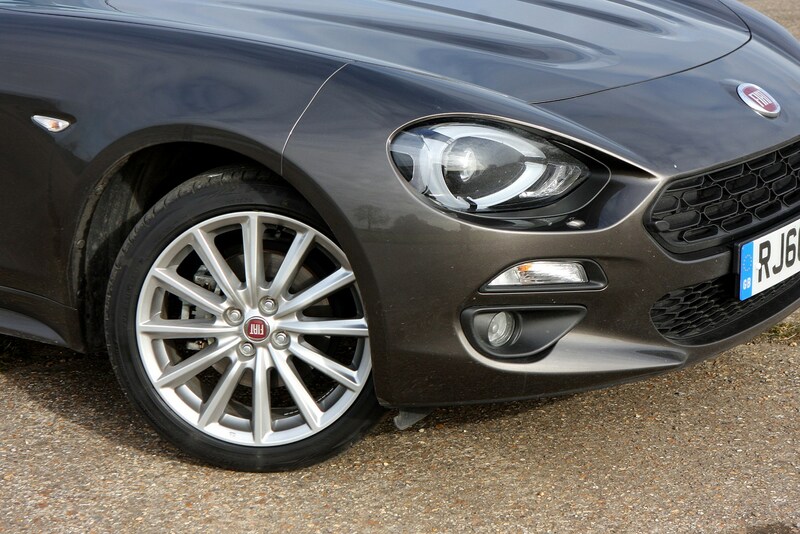 You’d have to really like how the S-Design looks to pay the premium over the top-spec Lusso Plus, proving this model is a case of style-over-substance. 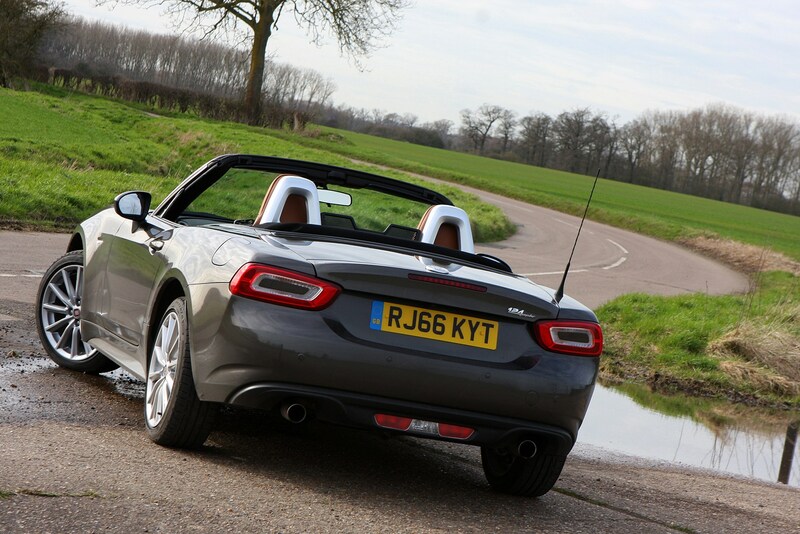 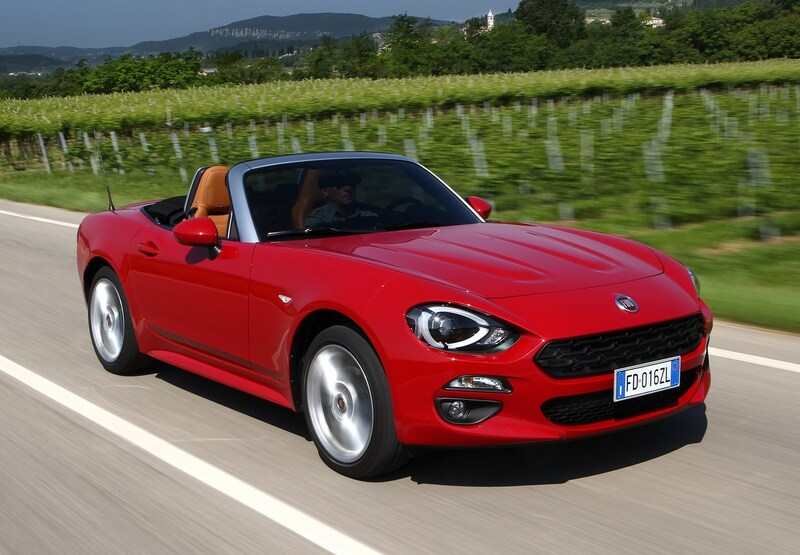 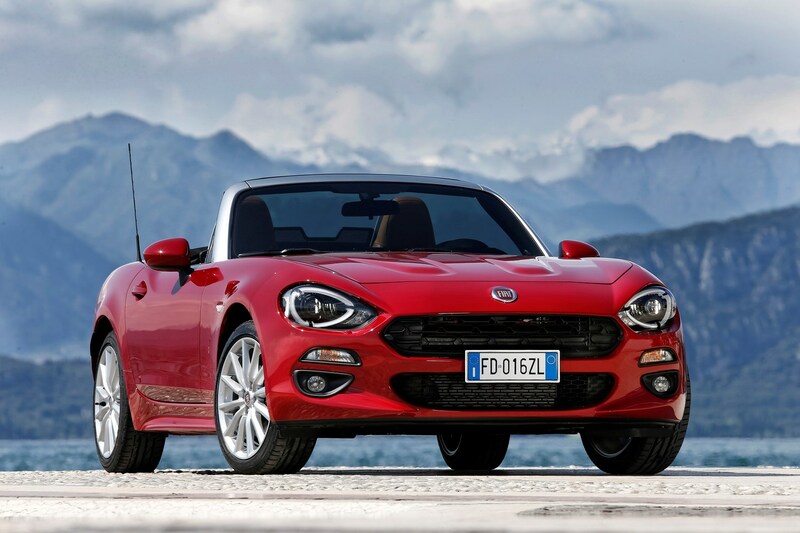 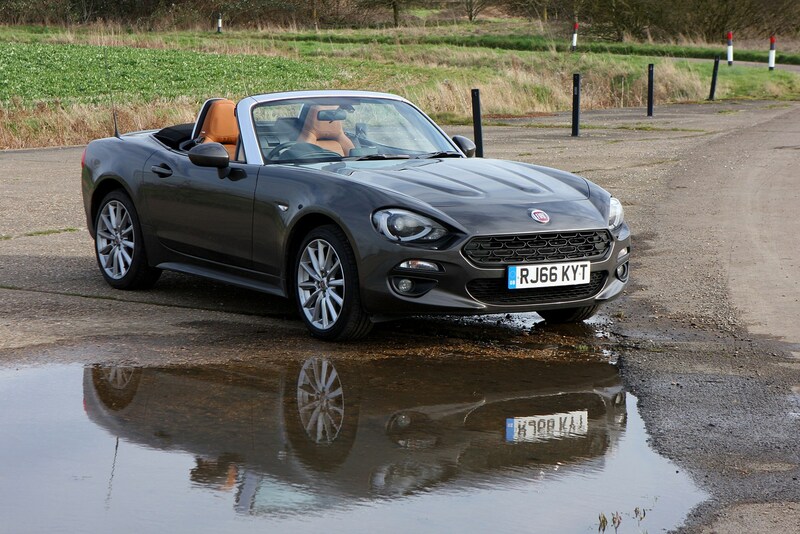 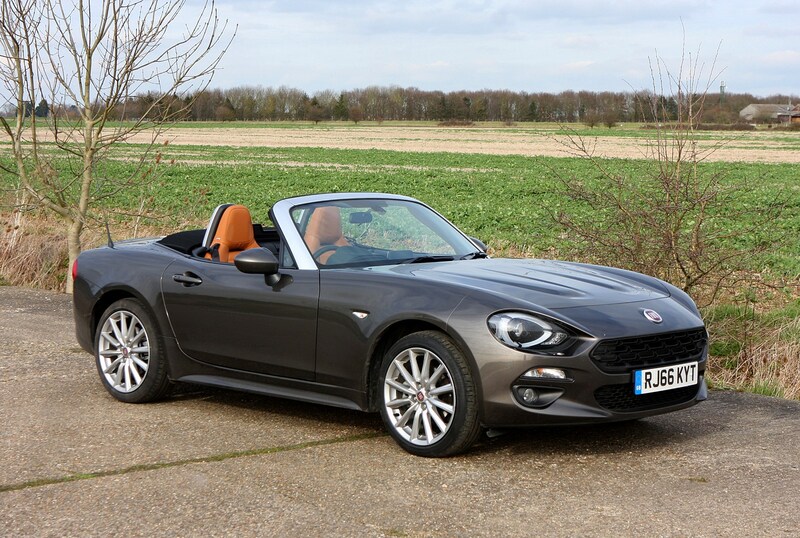 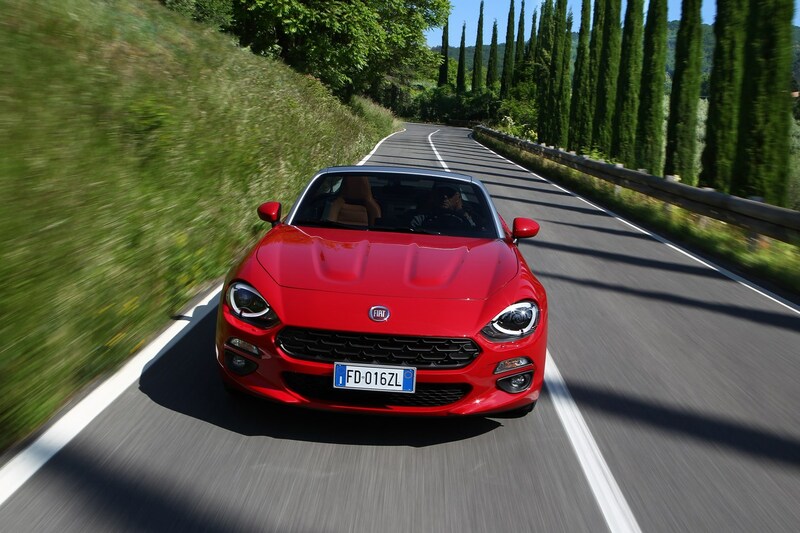 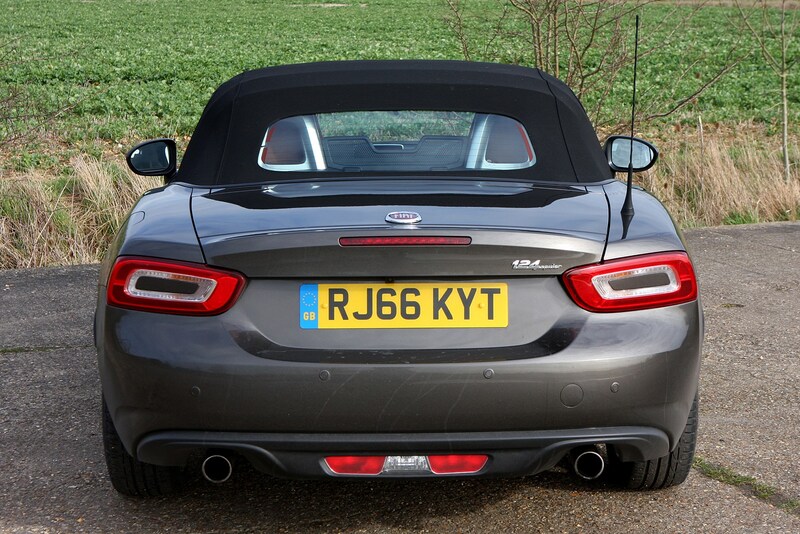 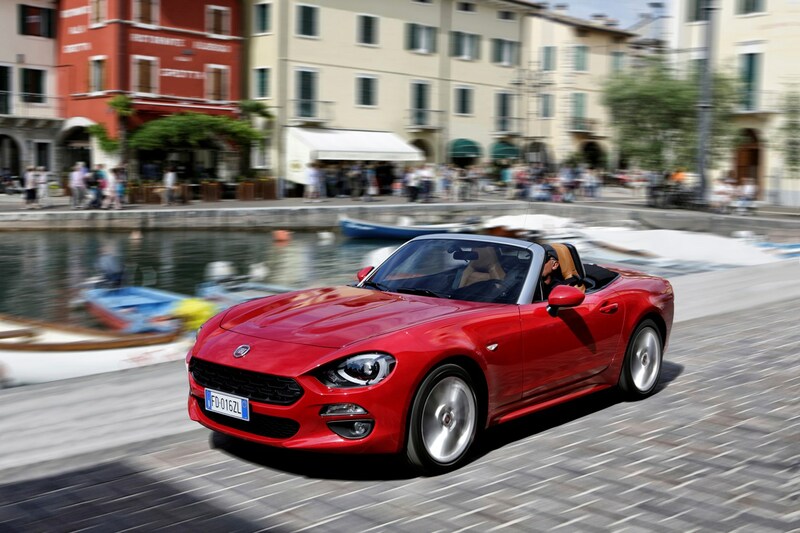 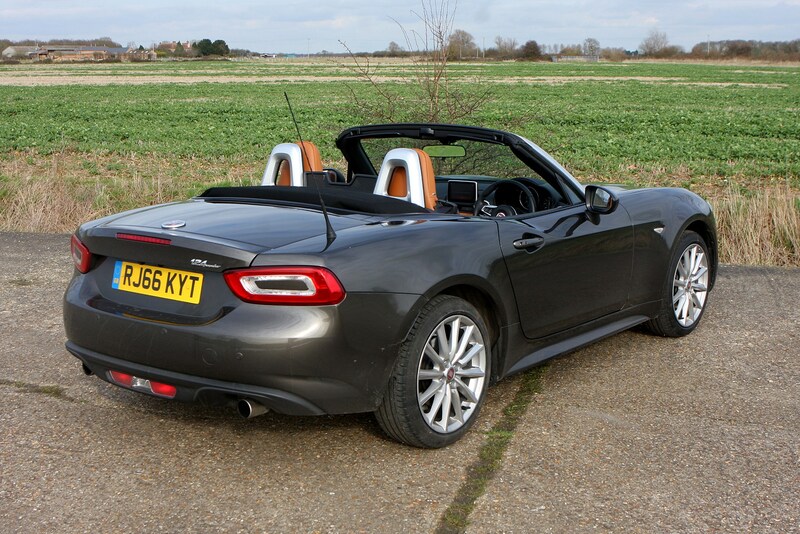 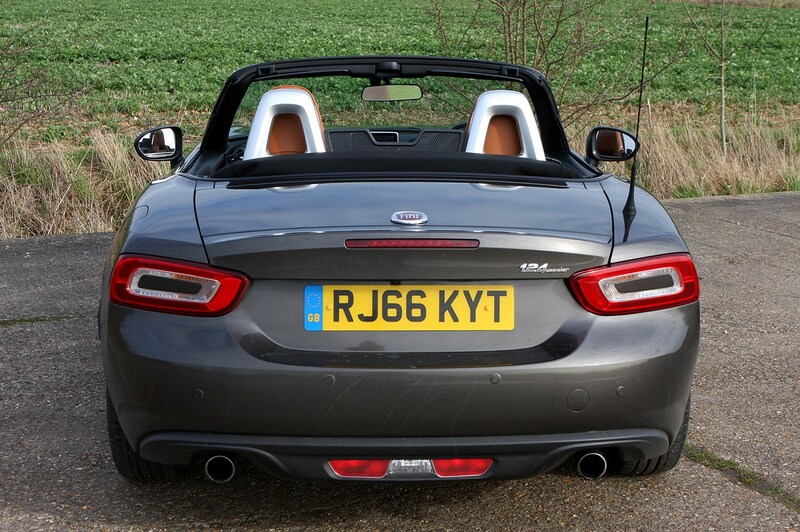 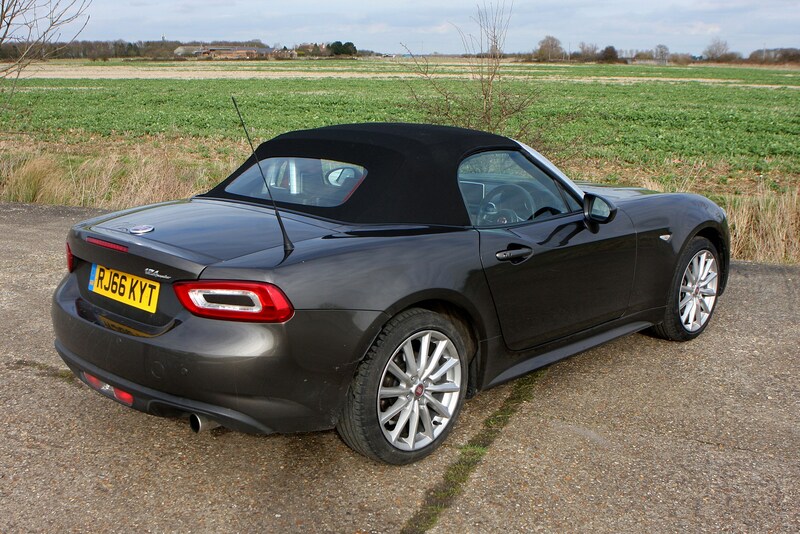 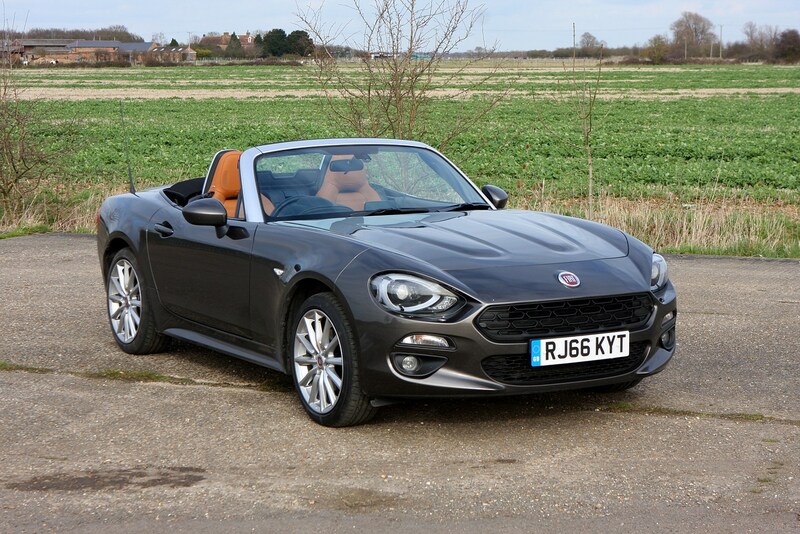 Happily for the Fiat 124 Spider, it’s a roadster that does come with plenty of the latter, the scales have just been tipped out of balance somewhat. 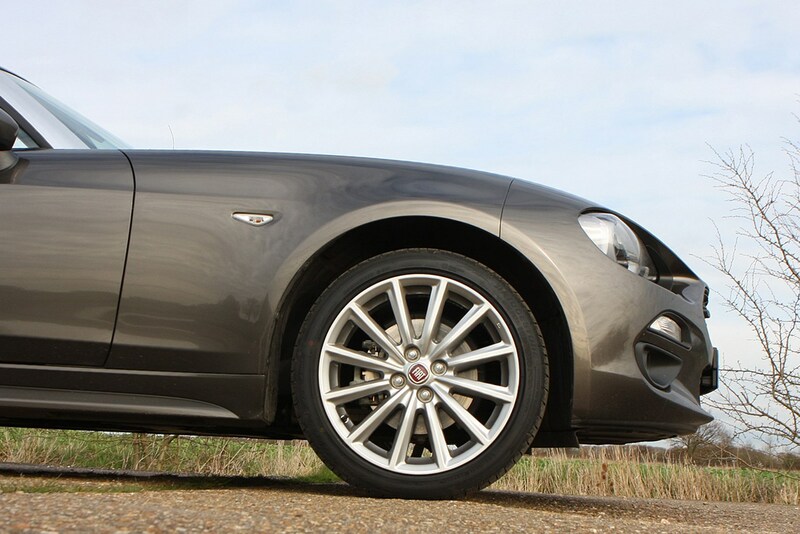 Mid-spec Lusso cars are the ones to look out for, thanks to a relatively low price and lots of standard kit, including sat-nav. 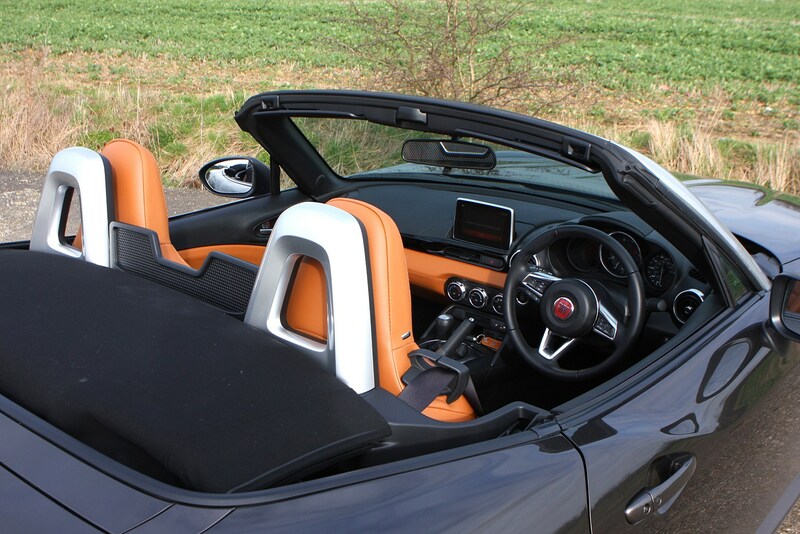 As this is a sports car, it would be sensible to give it an extra thorough going-over to make sure it hasn’t been over-used and abused. 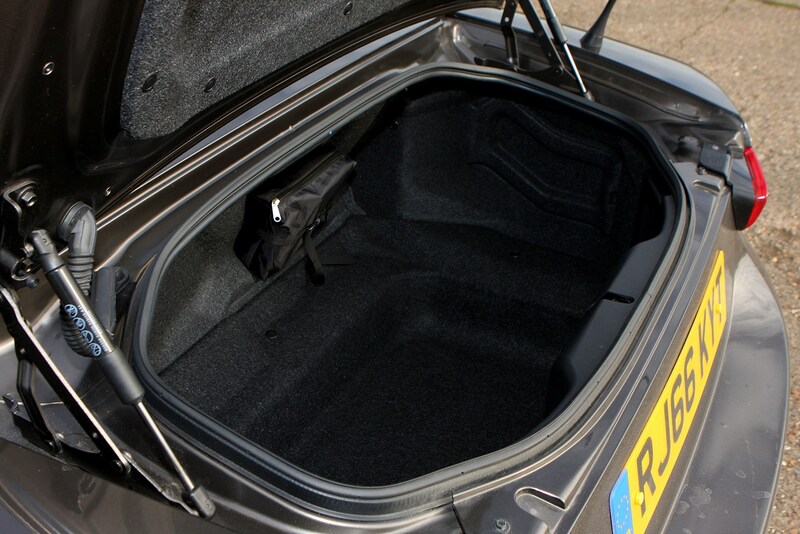 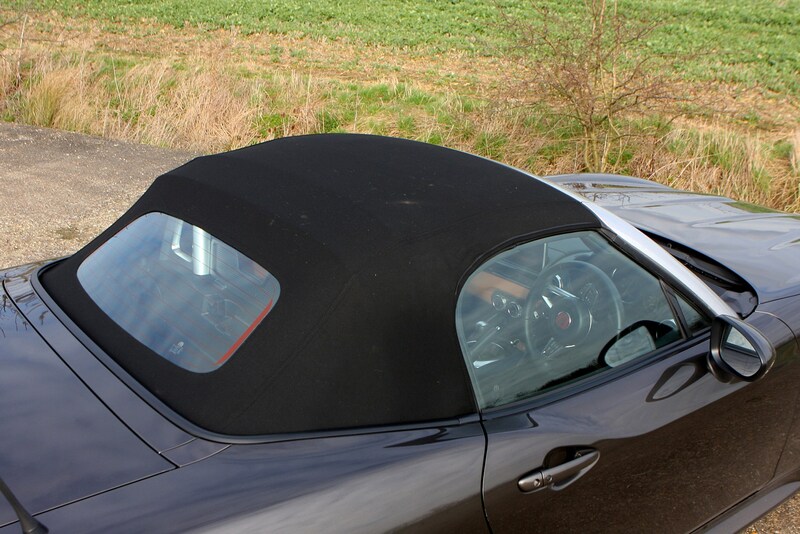 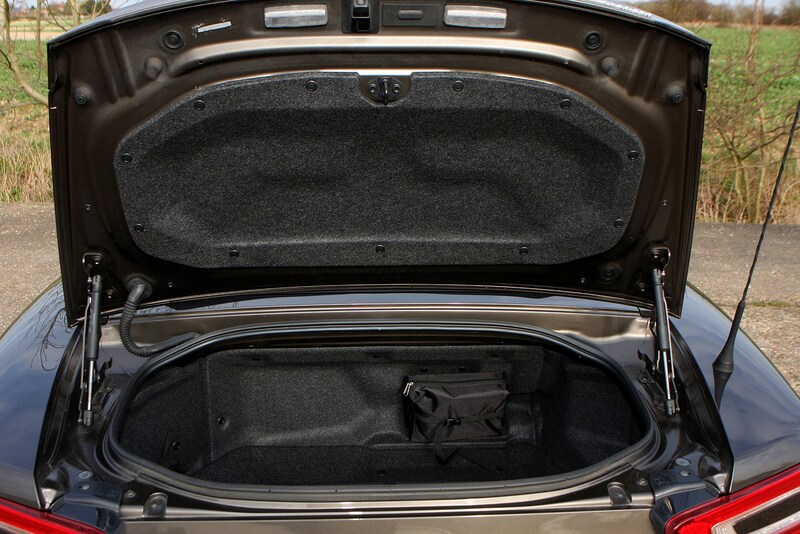 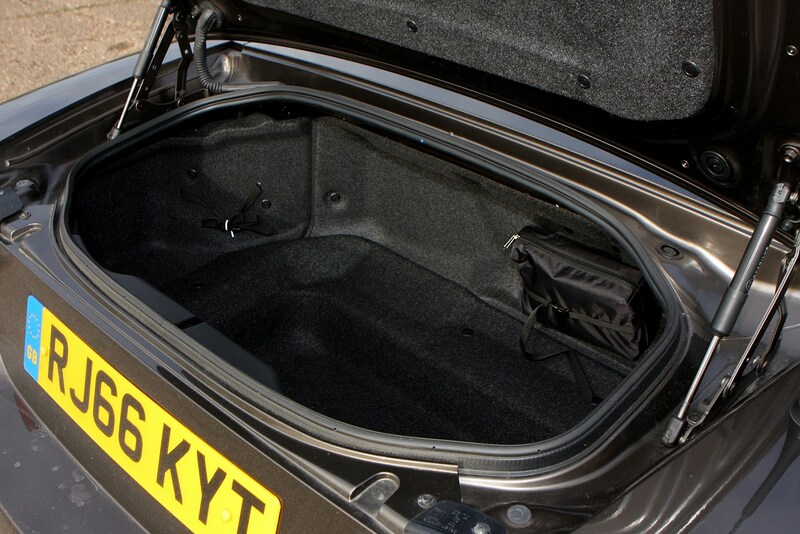 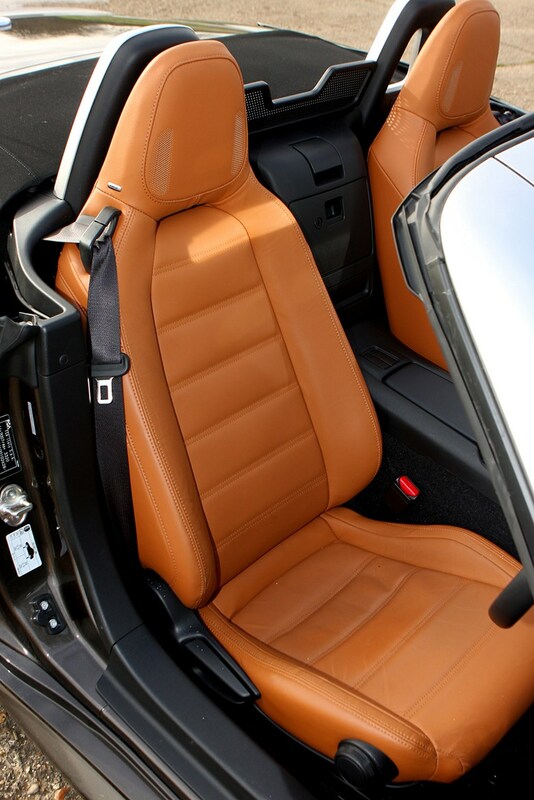 Also make sure the folding roof works as it should and the fabric isn’t torn or baggy. 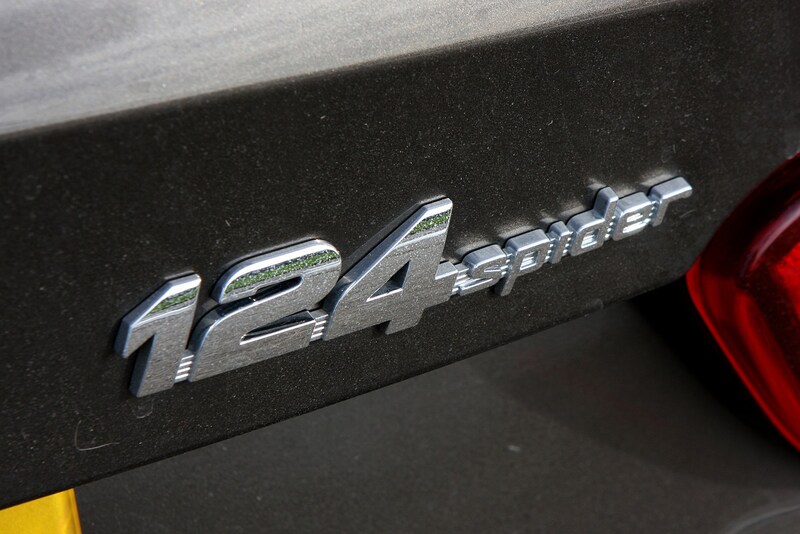 Thankfully the 124’s light weight means things like brakes and suspension components should be in good order and not prematurely worn. 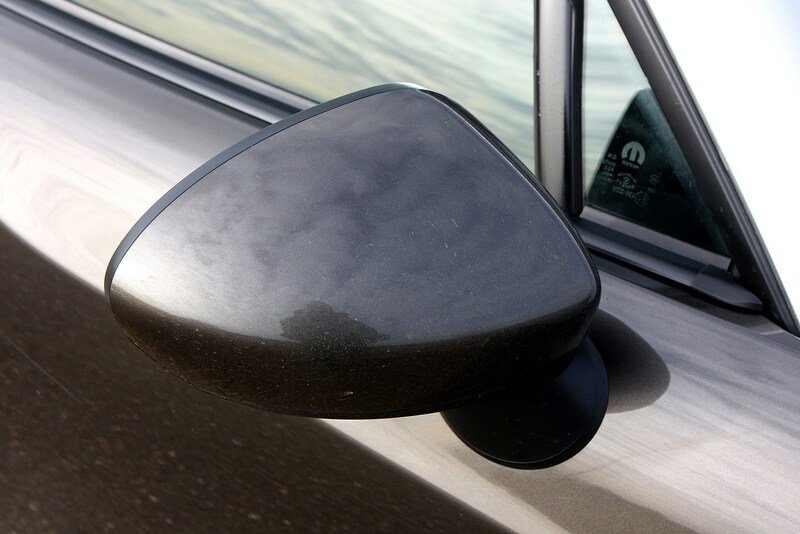 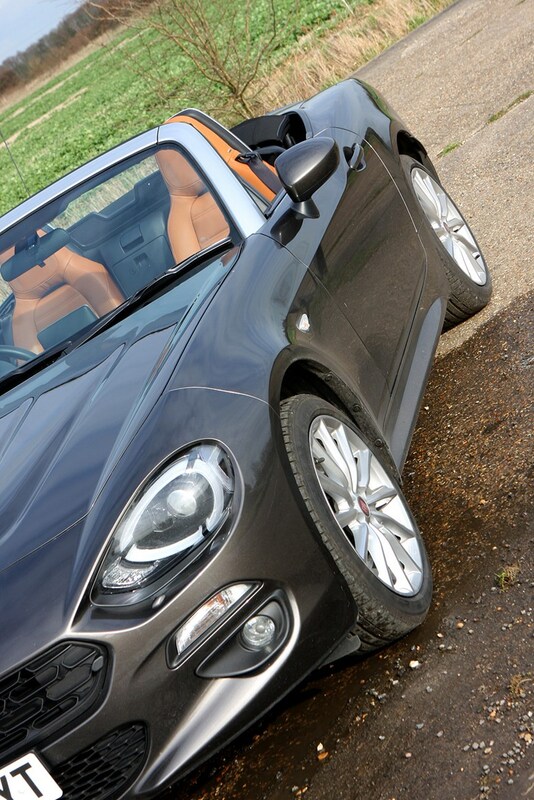 As always, get a Parkers Car History Check to uncover any unpaid finance. 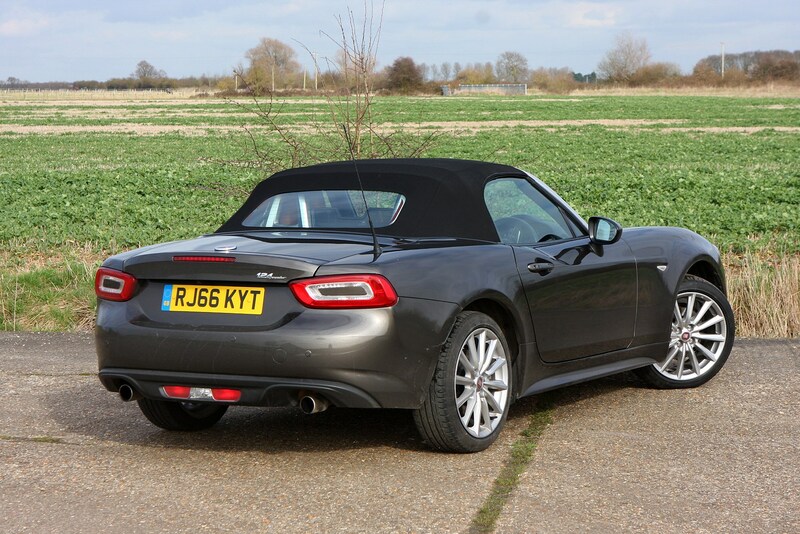 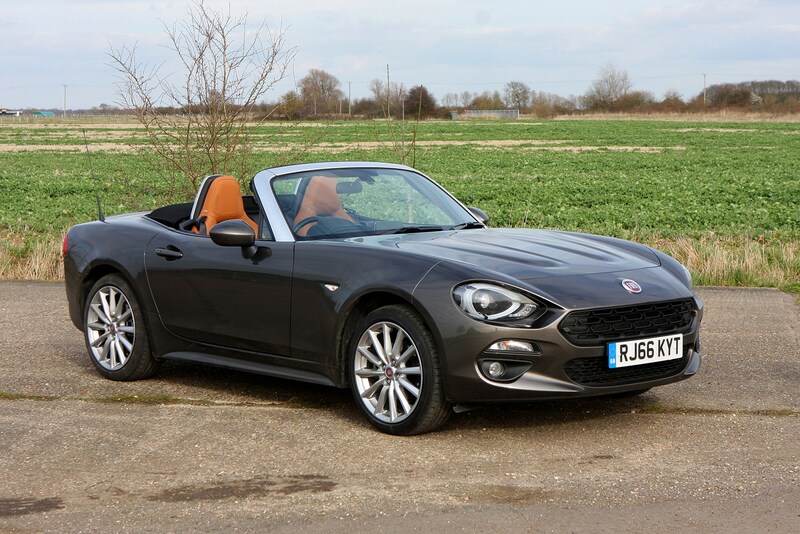 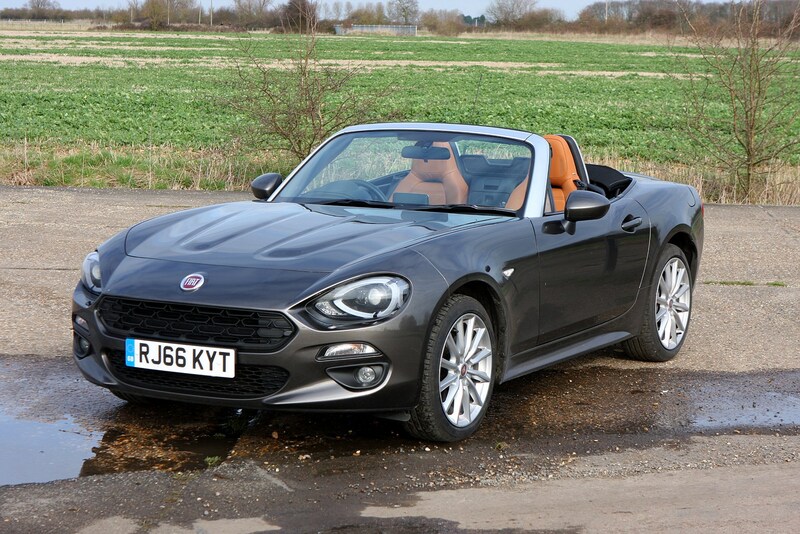 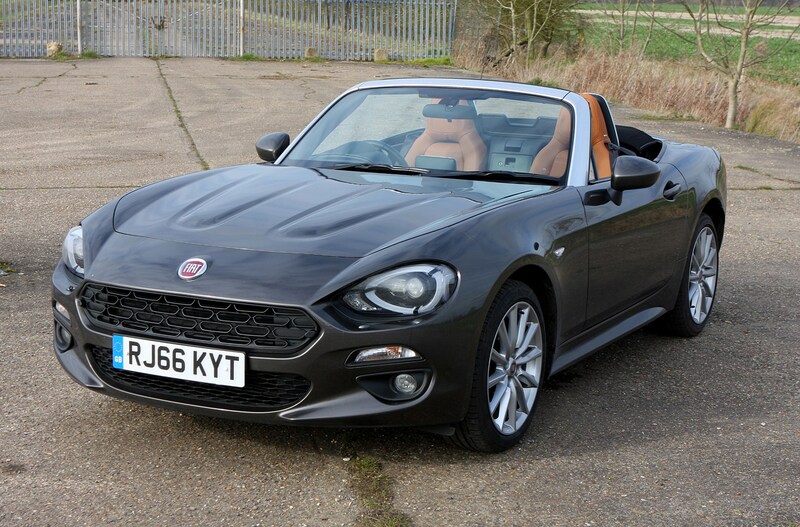 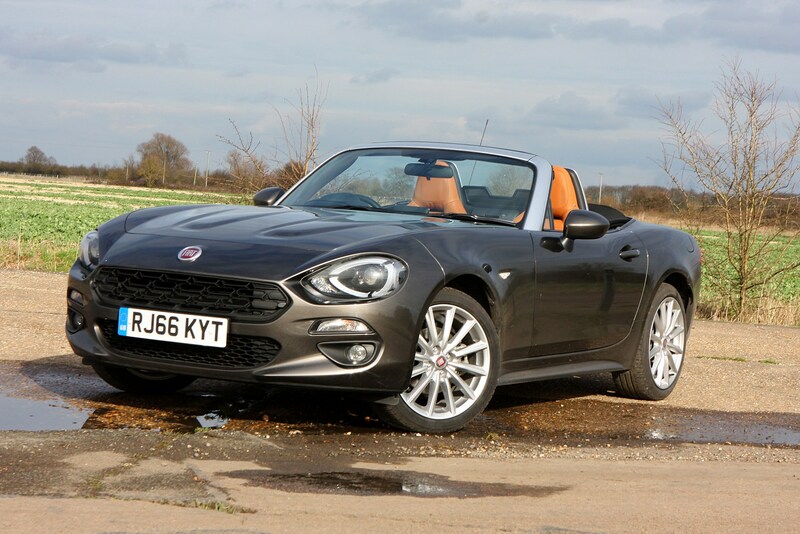 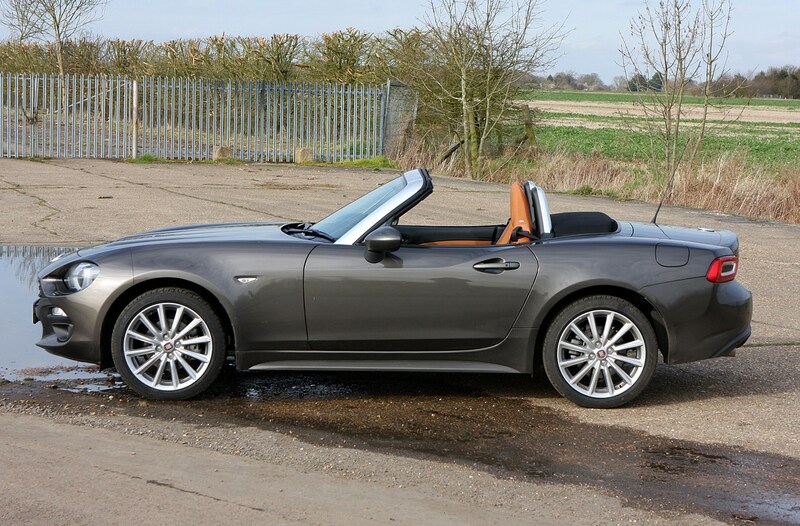 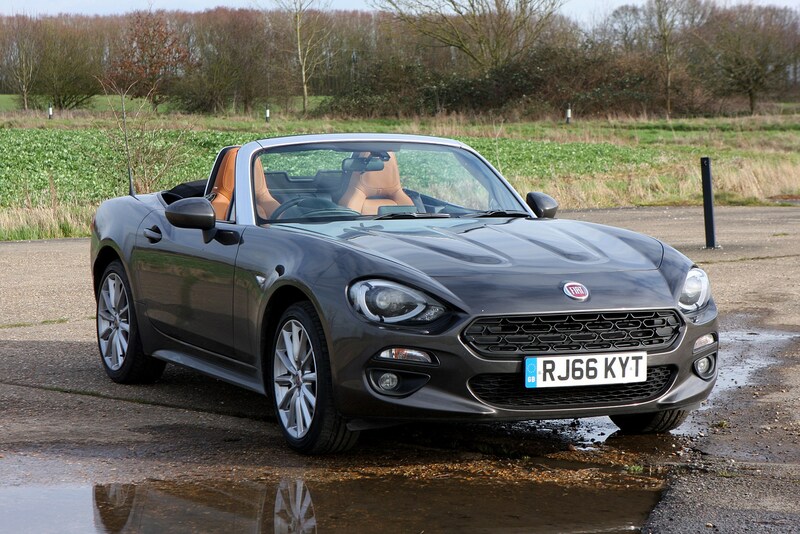 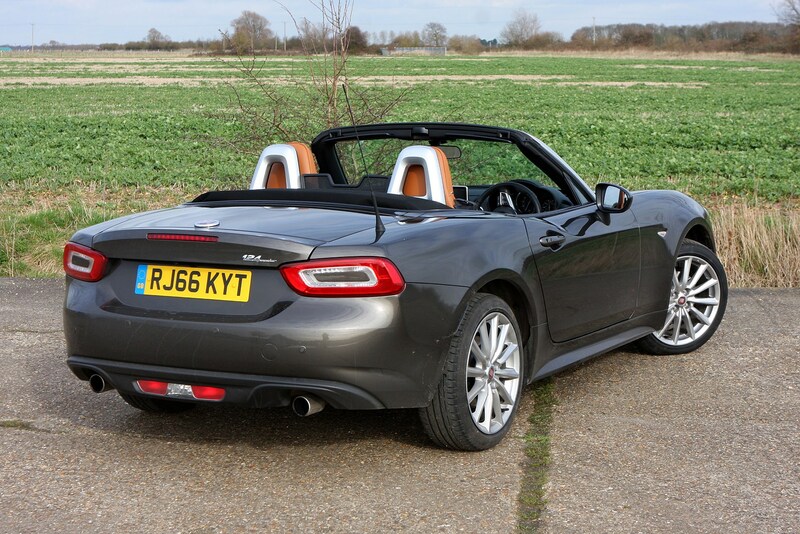 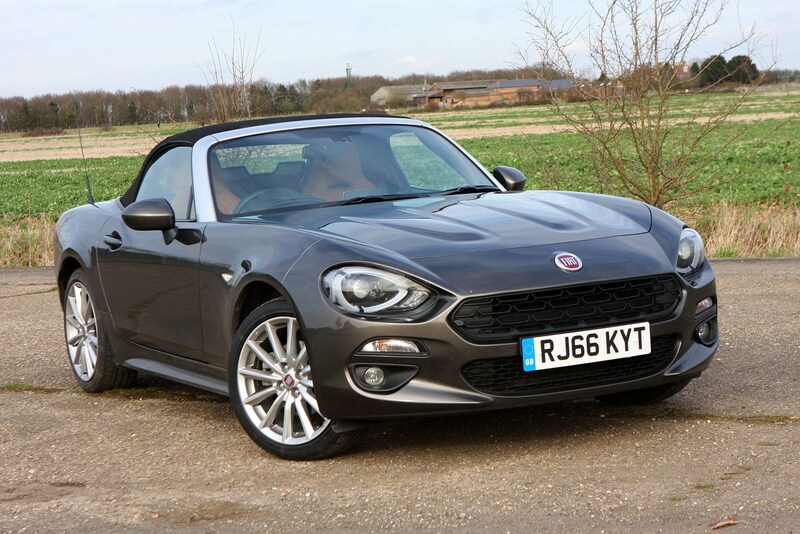 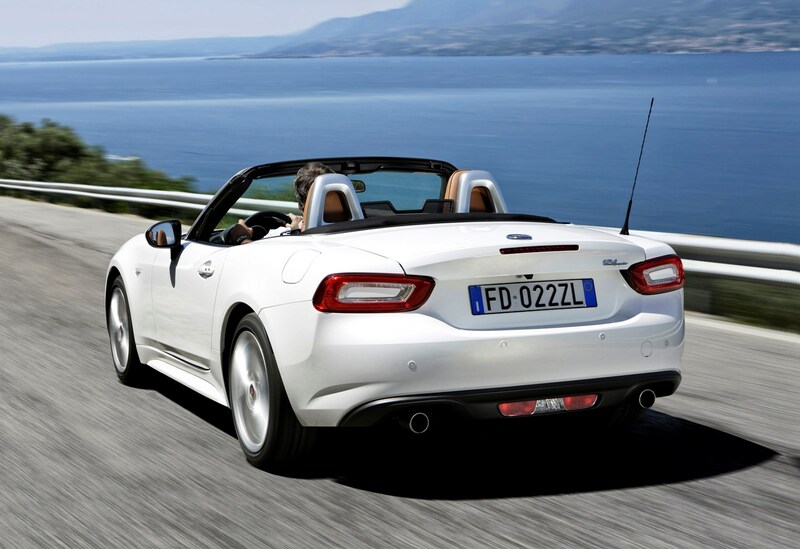 Good-looking Italian sports cars are not going to be hard to shift on, and second-hand buyers looking for a bargain should be queueing up at your door when it’s to sell your Fiat 124 Spider on. 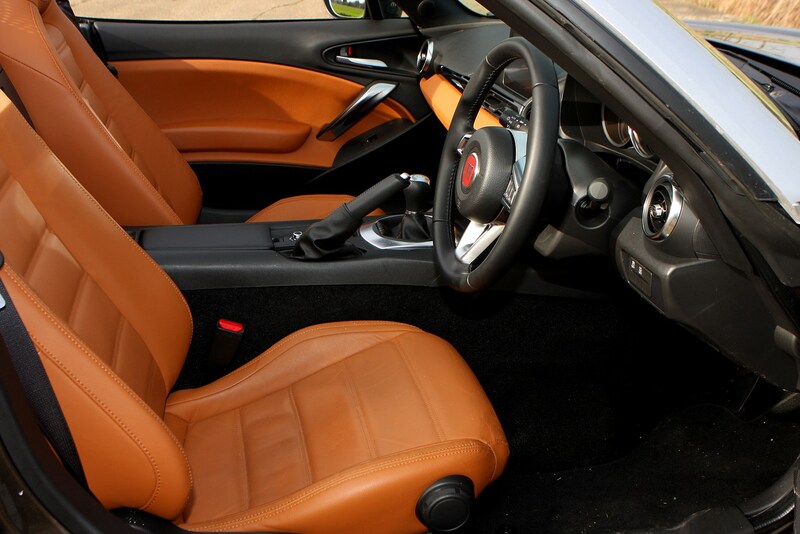 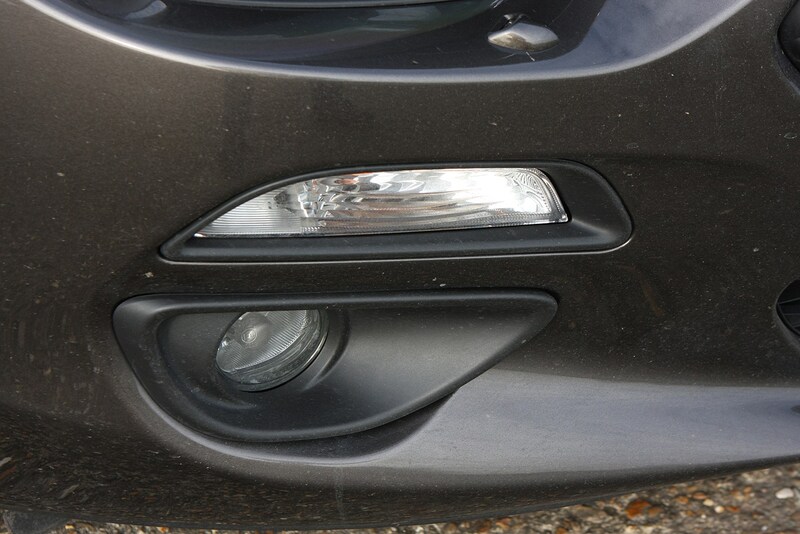 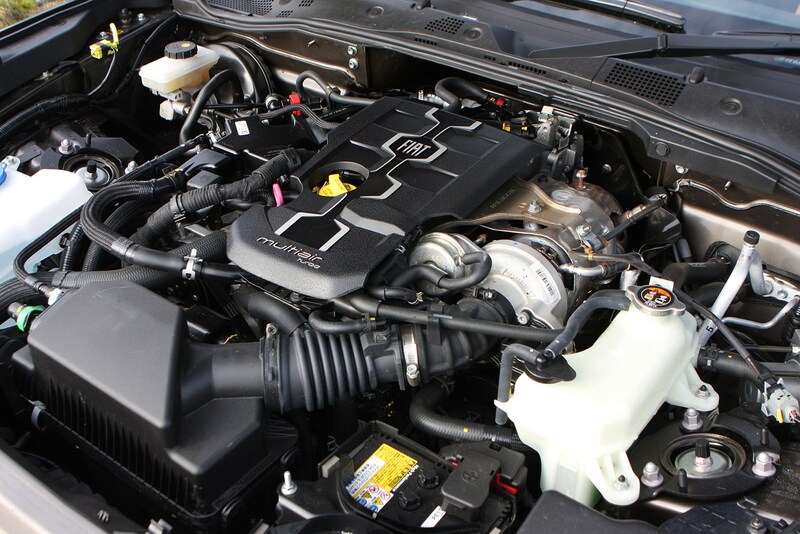 Make sure you keep a detailed file of any servicing and maintenance work done and get a Parkers valuation before listing it for sale to make sure you set the price right. 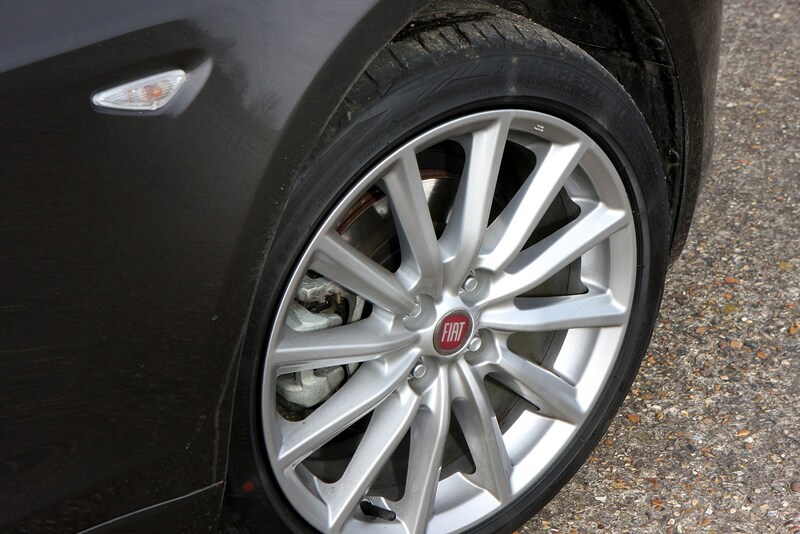 Give it a really good clean inside and out and ensure any minor scrapes or kerbed wheels are fixed before punters turn up.